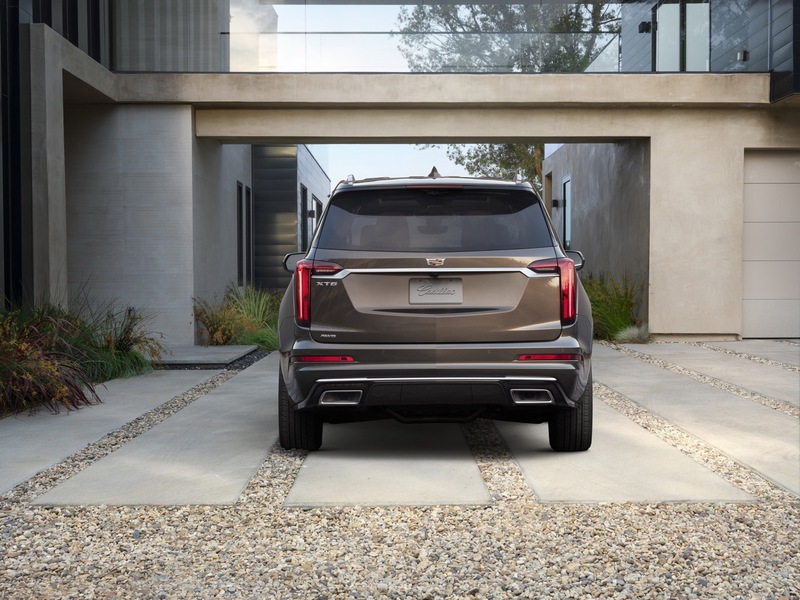 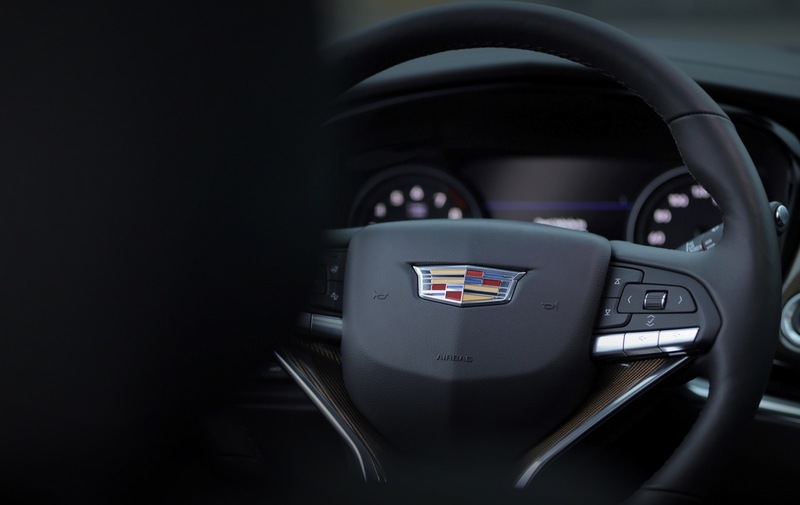 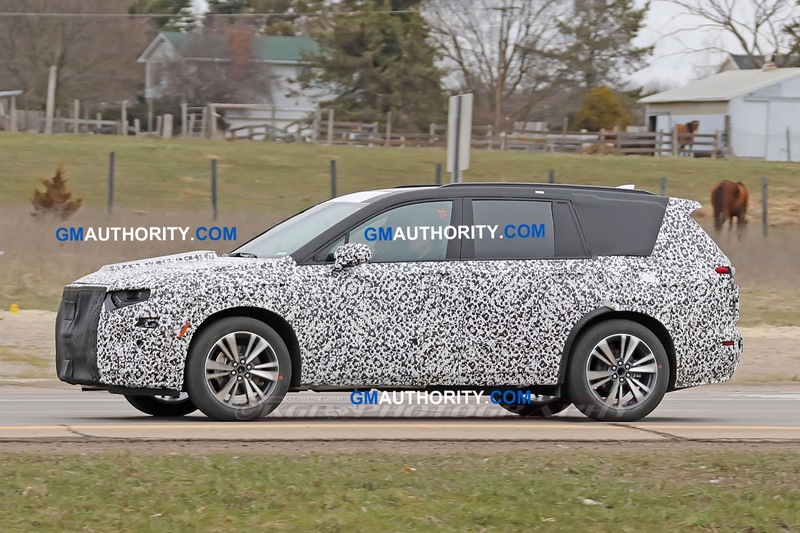 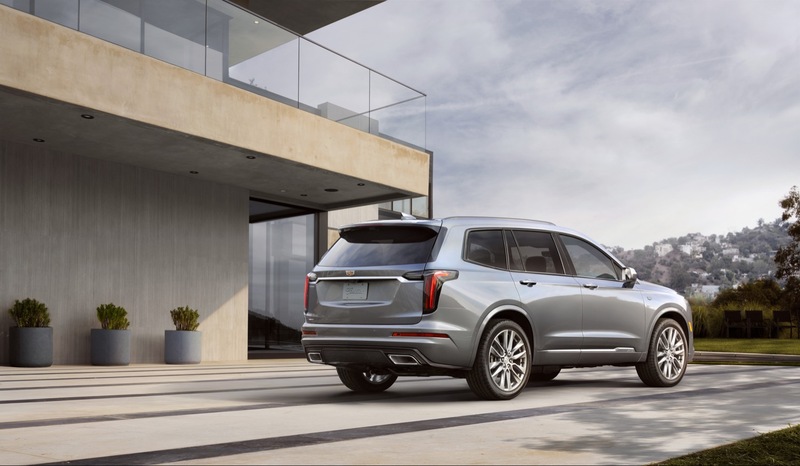 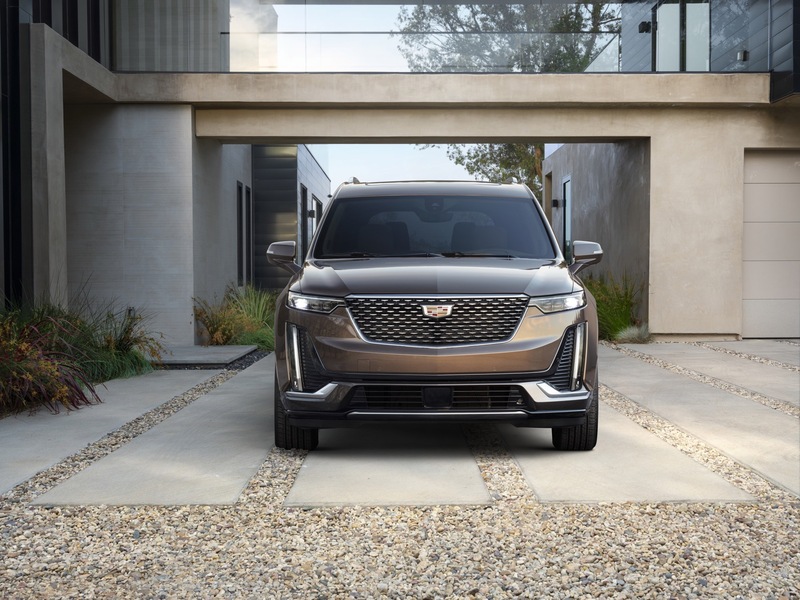 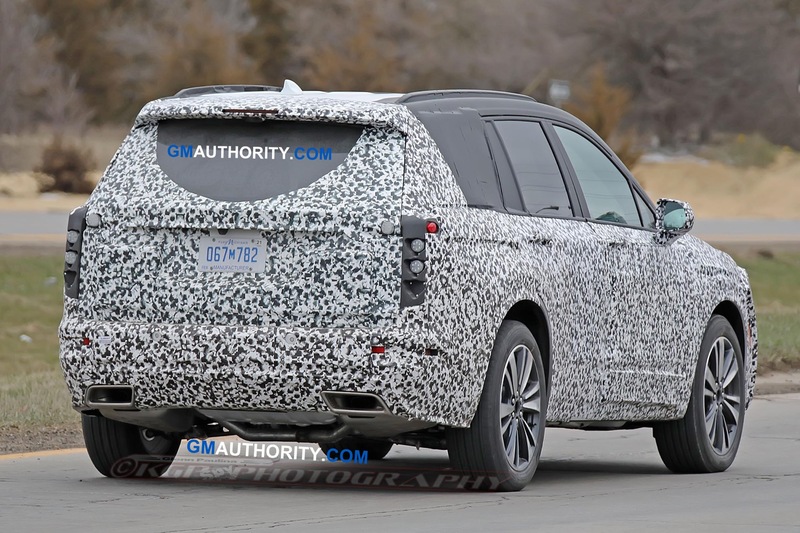 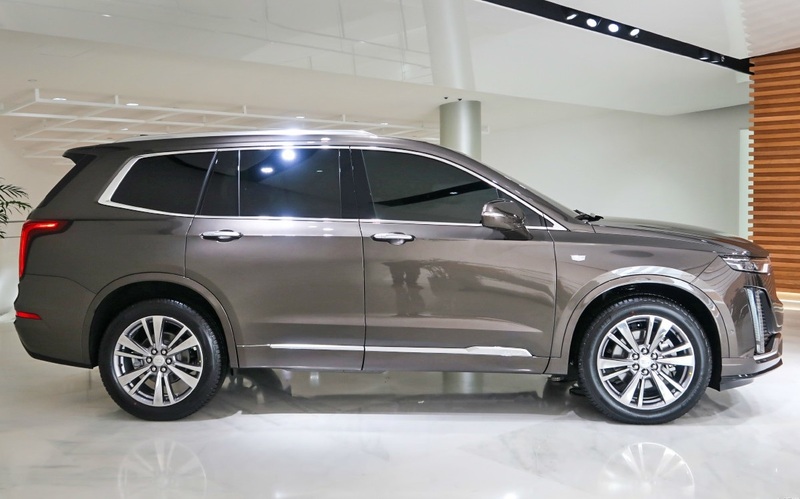 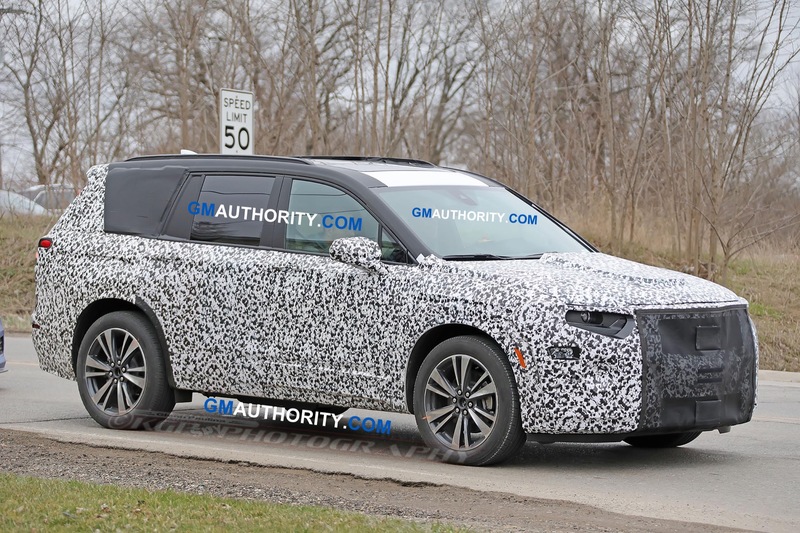 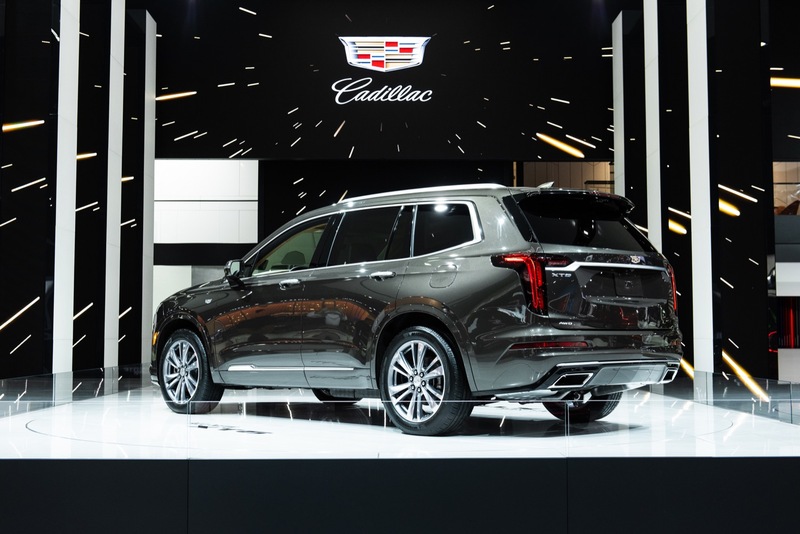 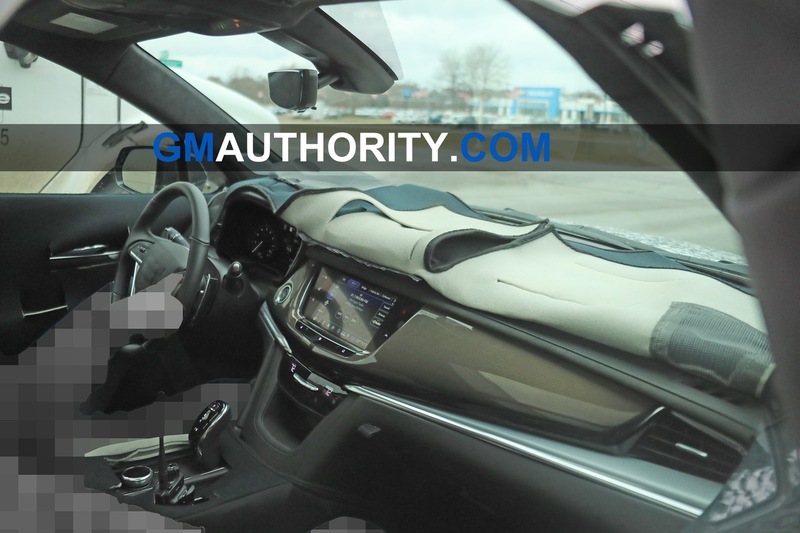 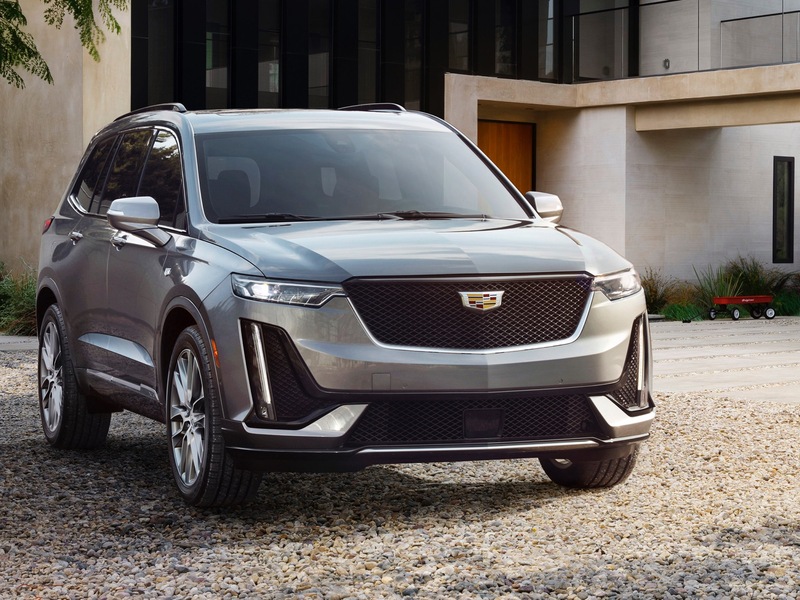 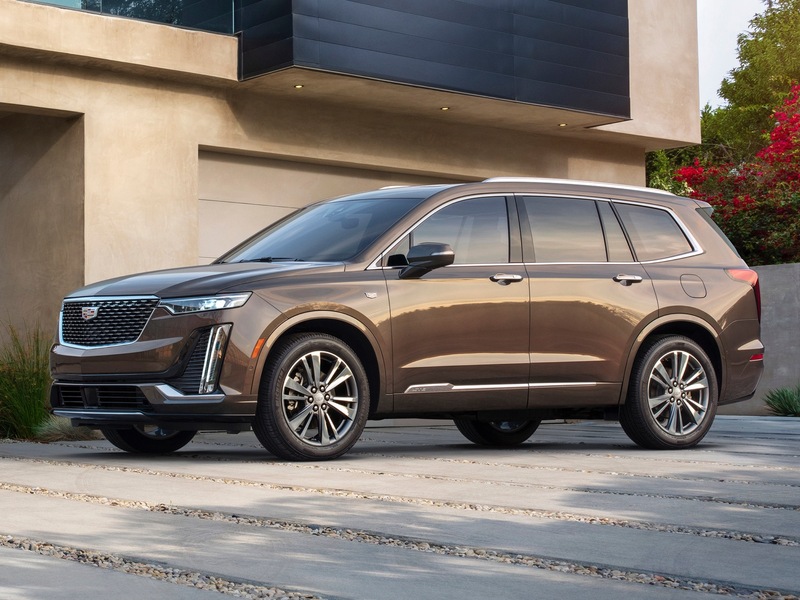 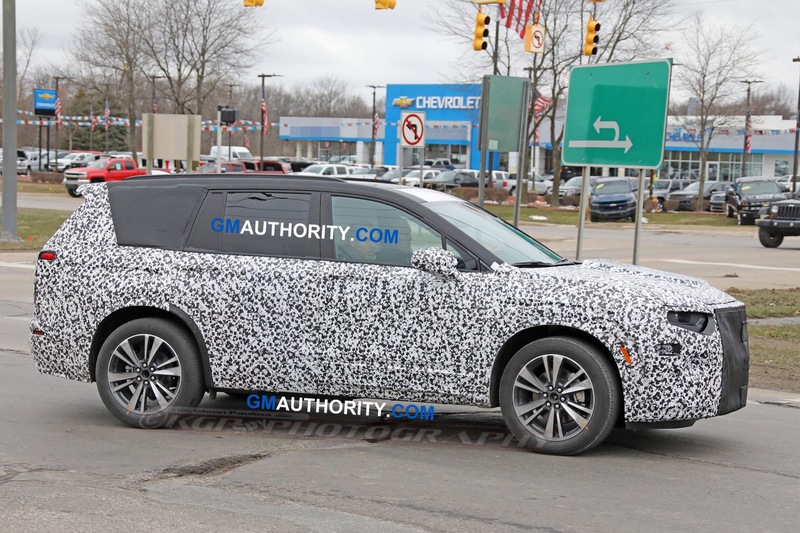 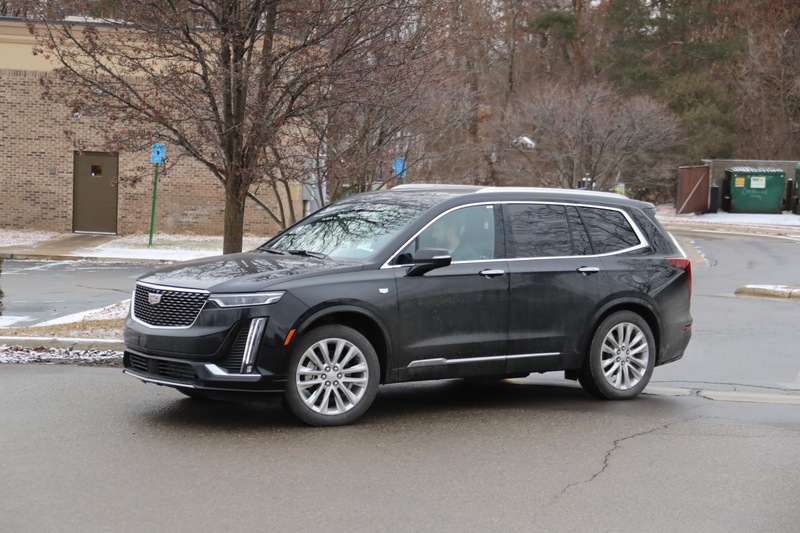 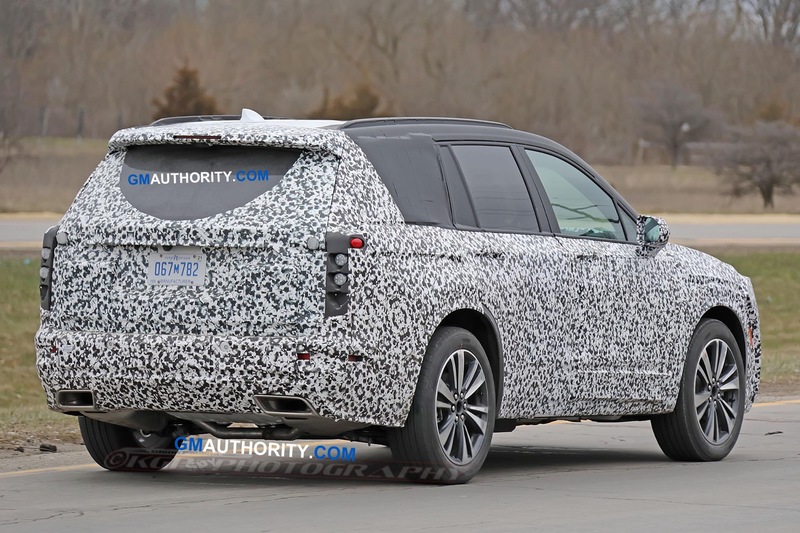 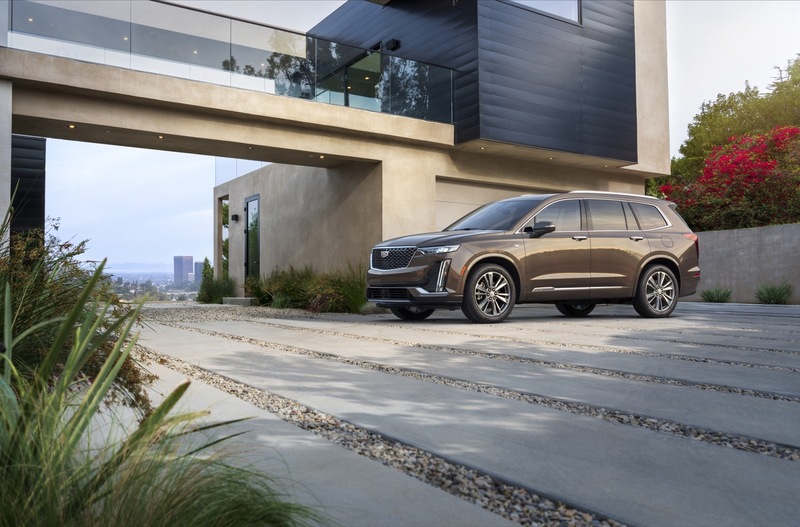 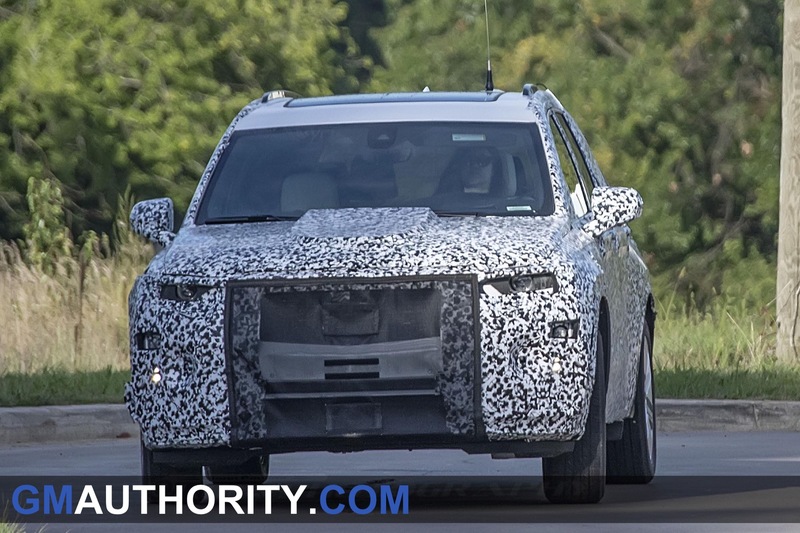 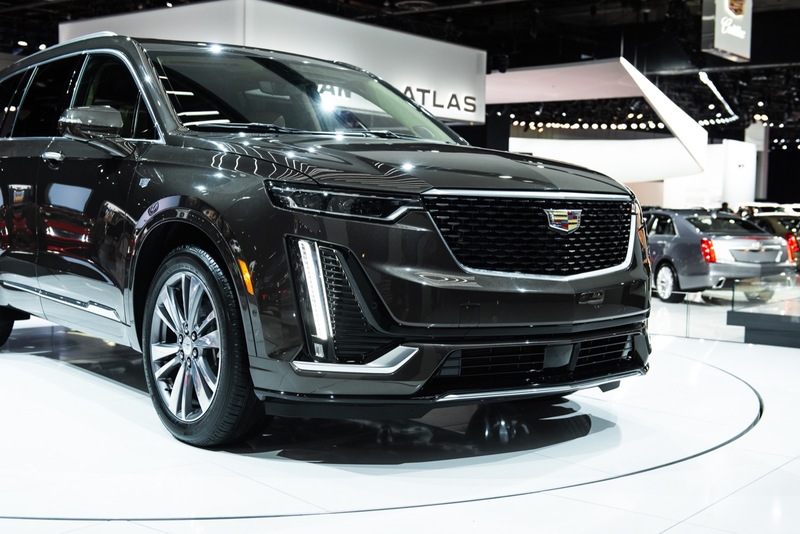 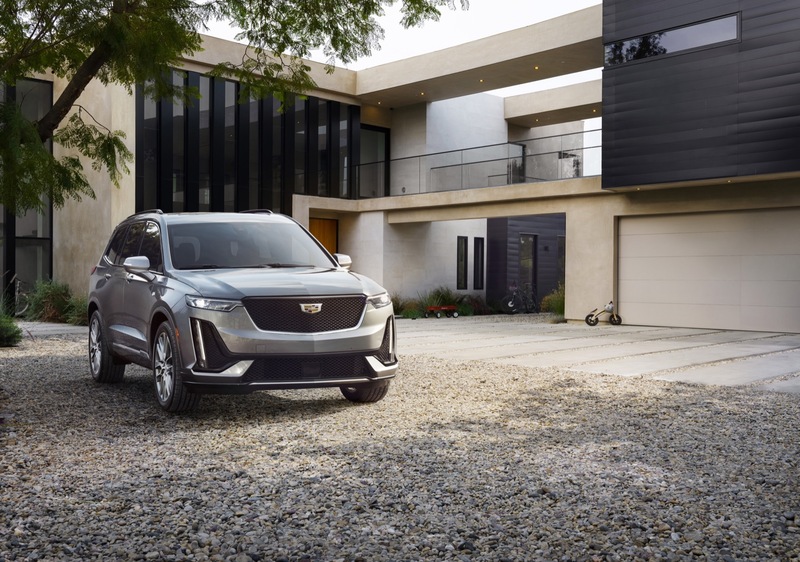 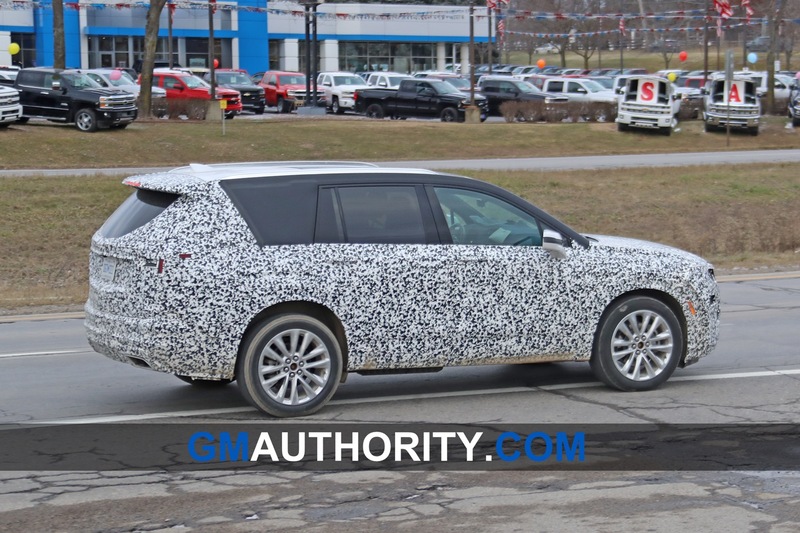 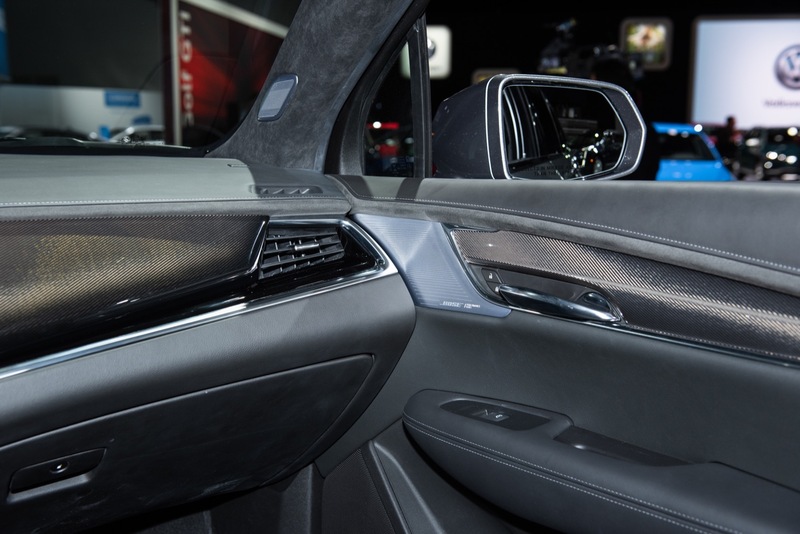 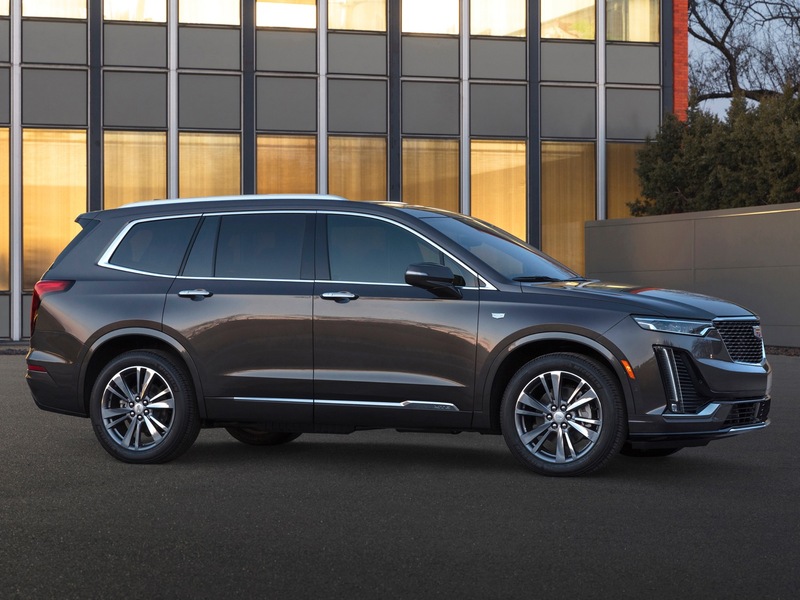 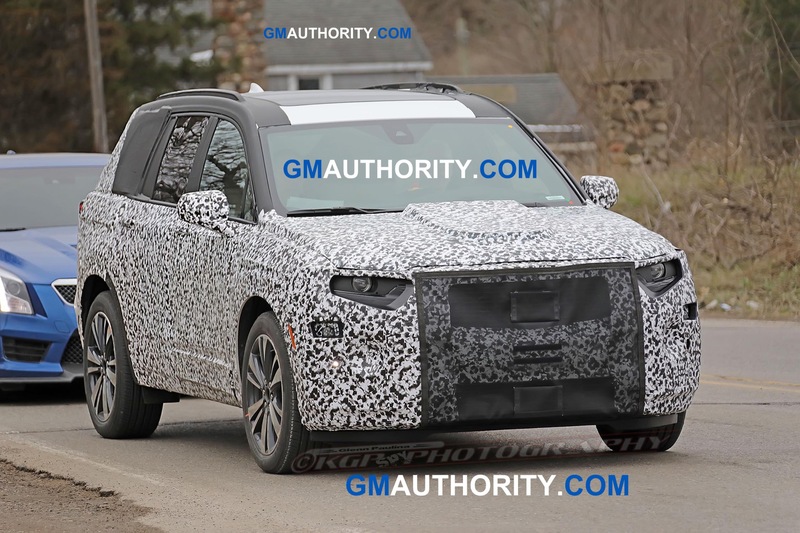 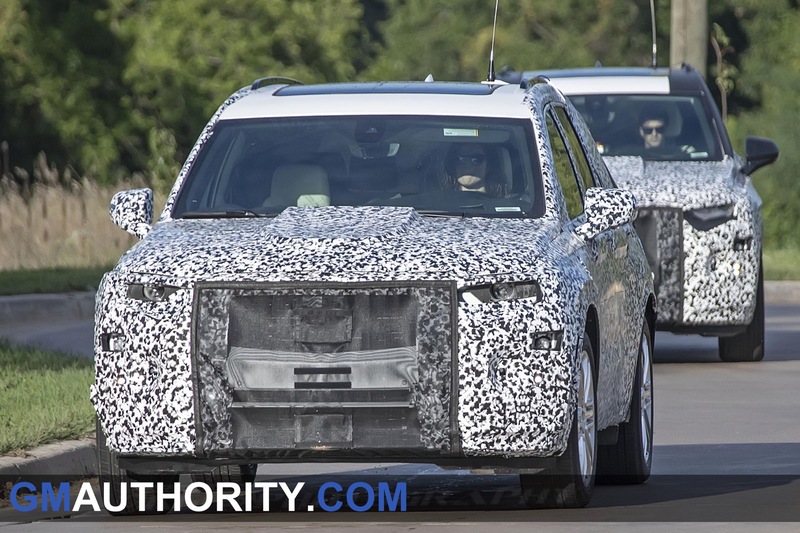 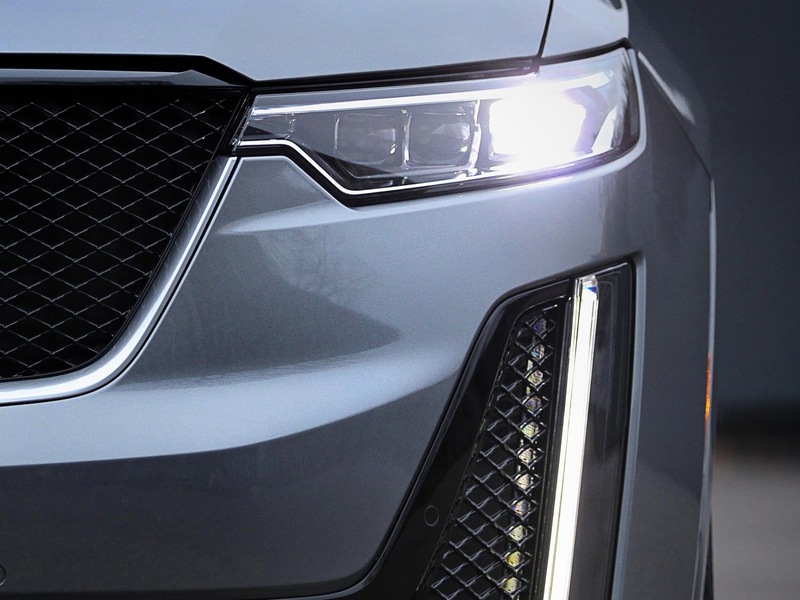 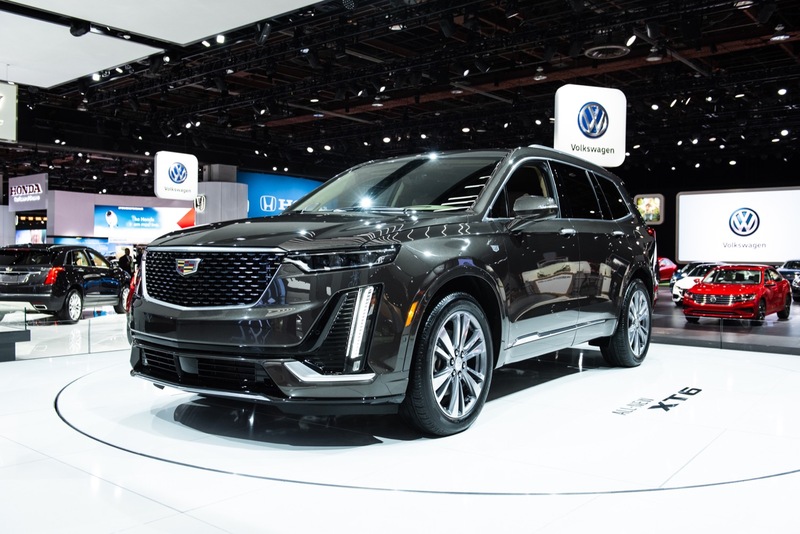 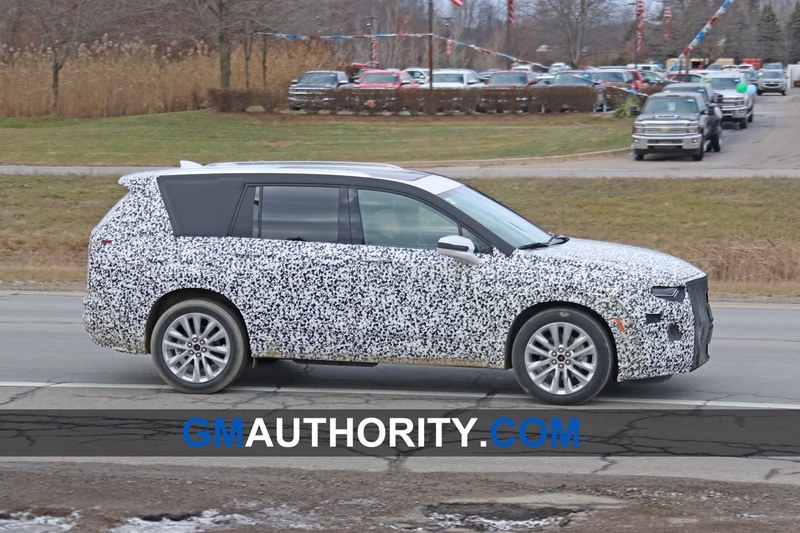 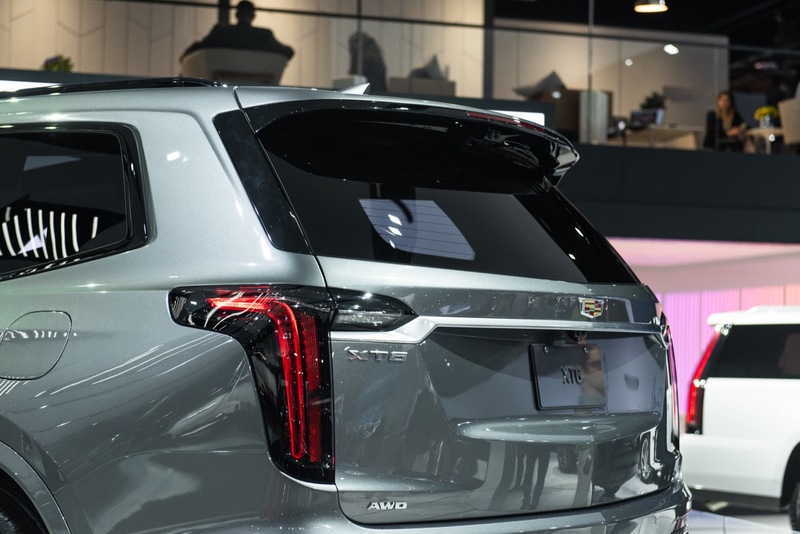 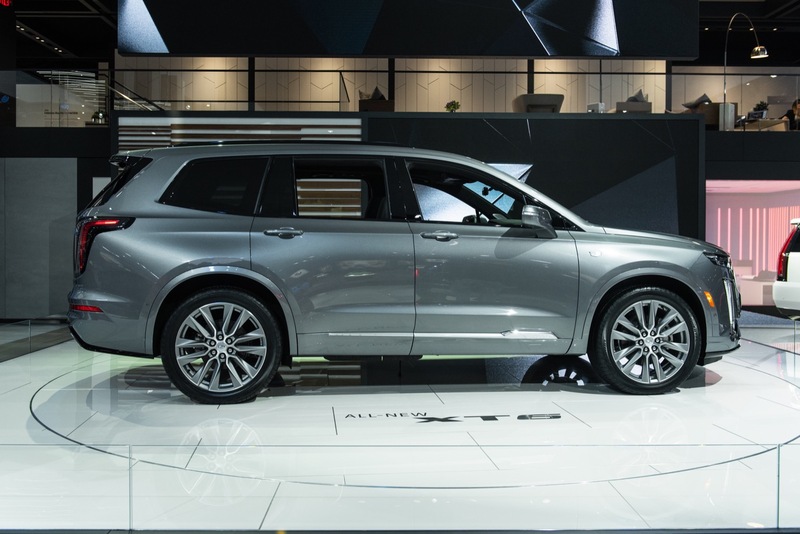 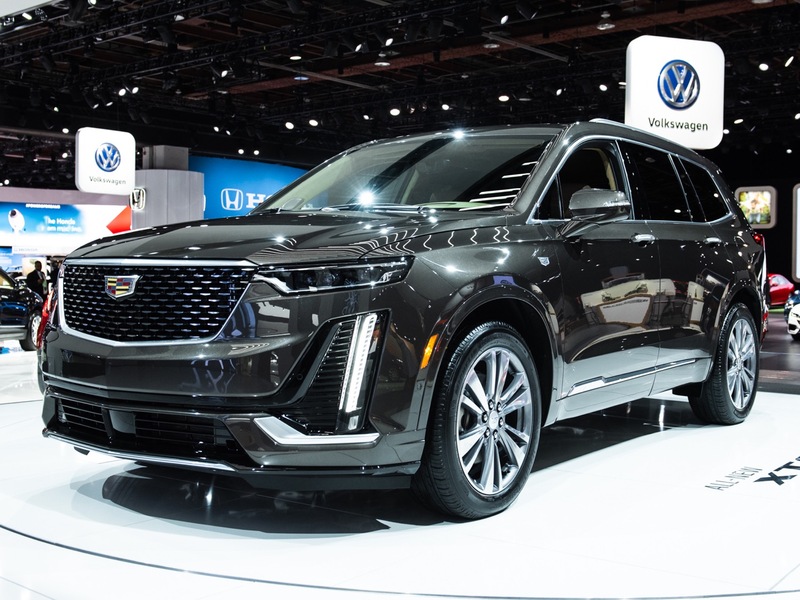 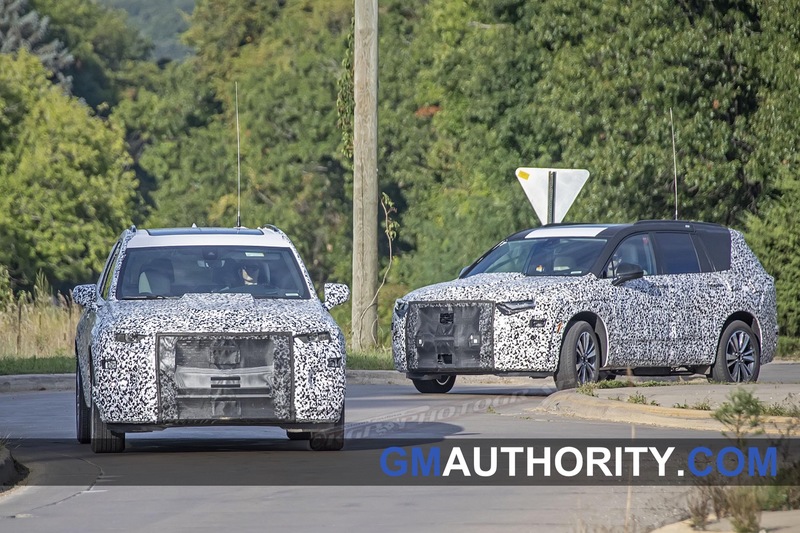 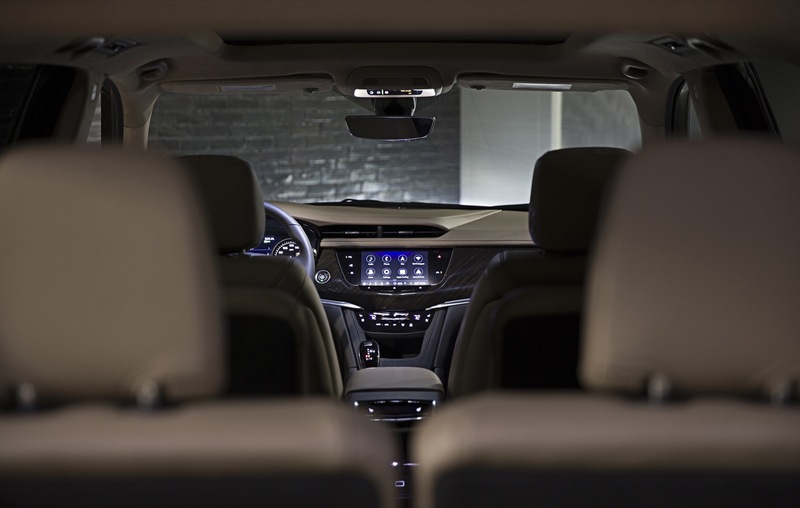 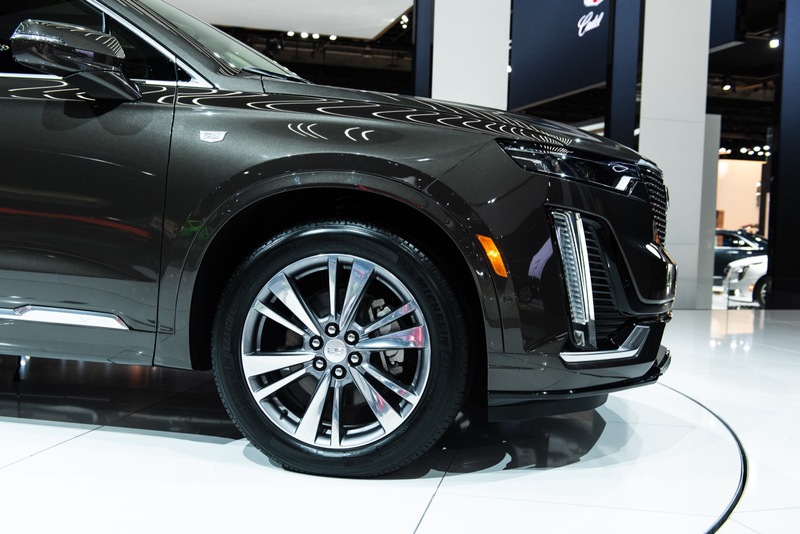 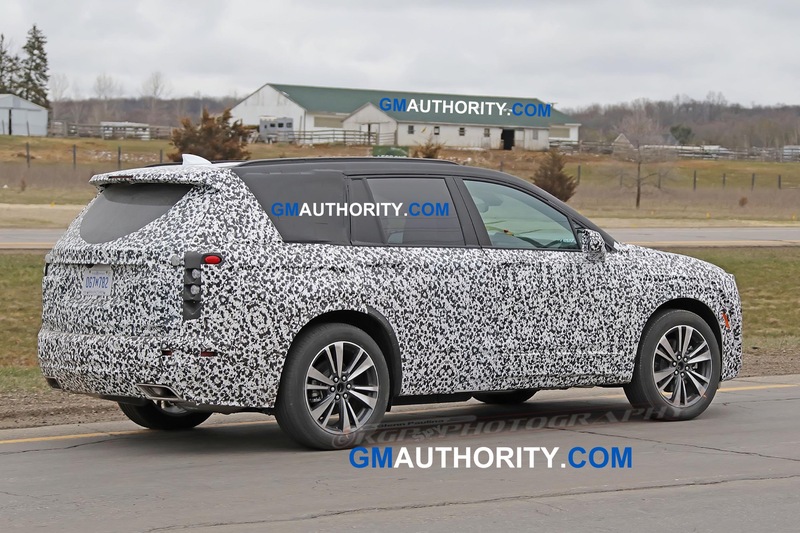 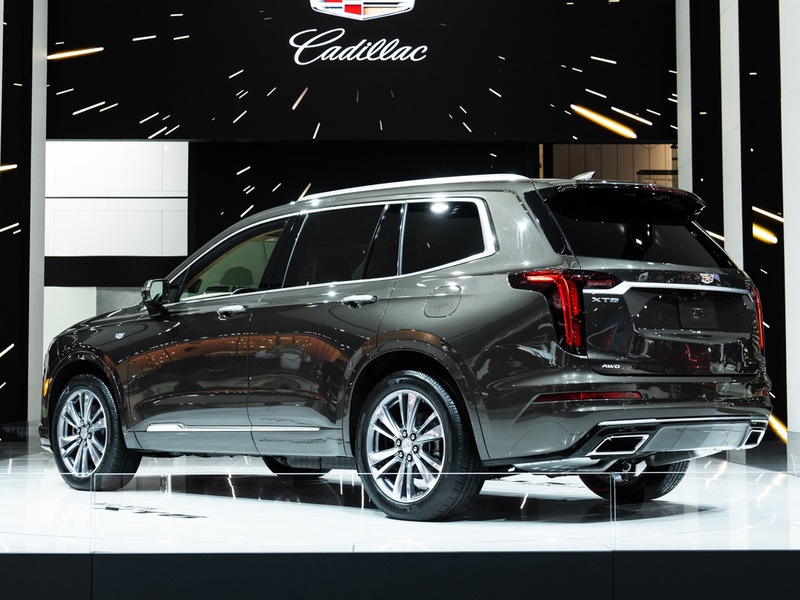 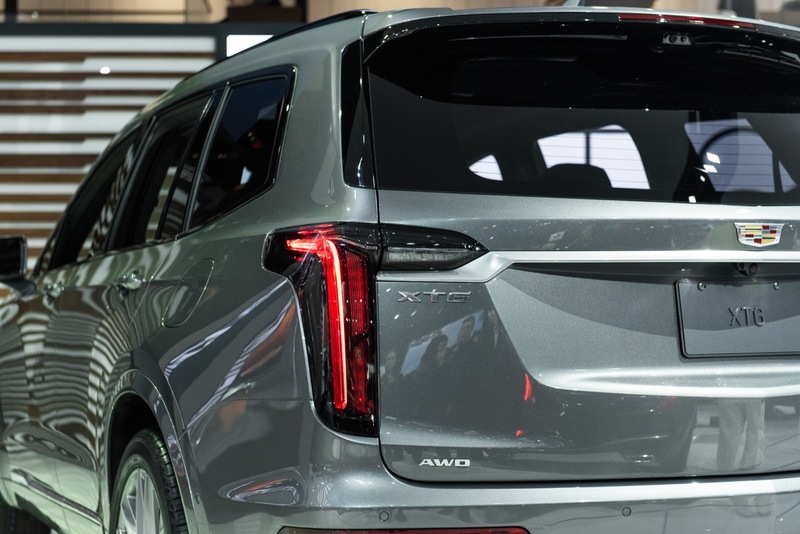 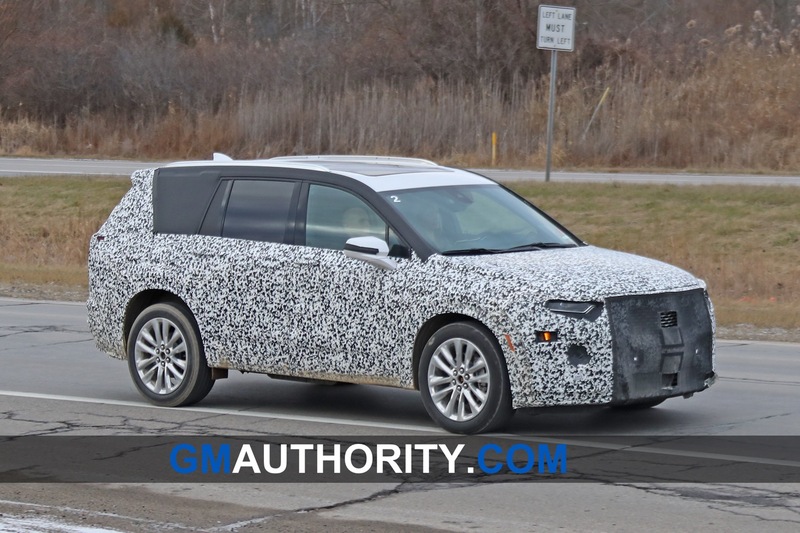 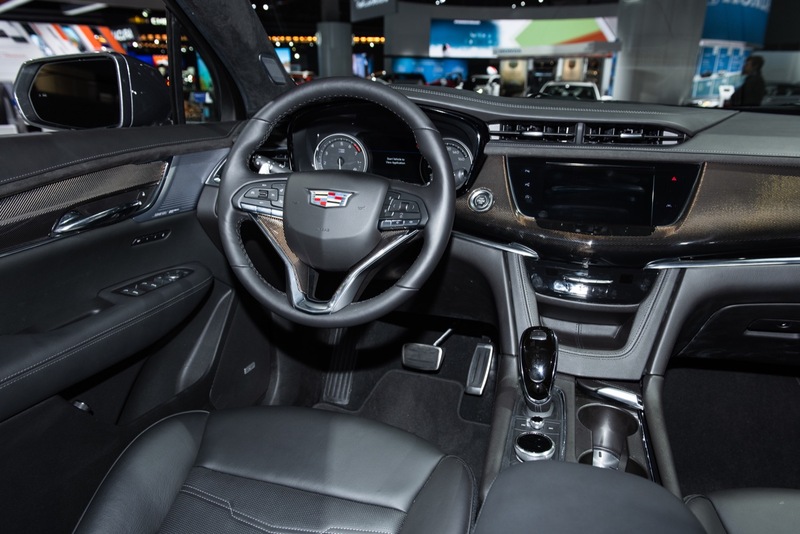 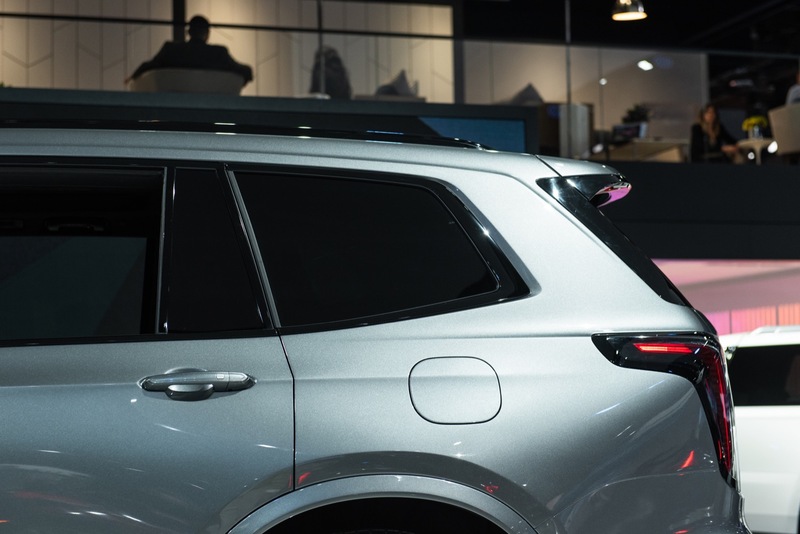 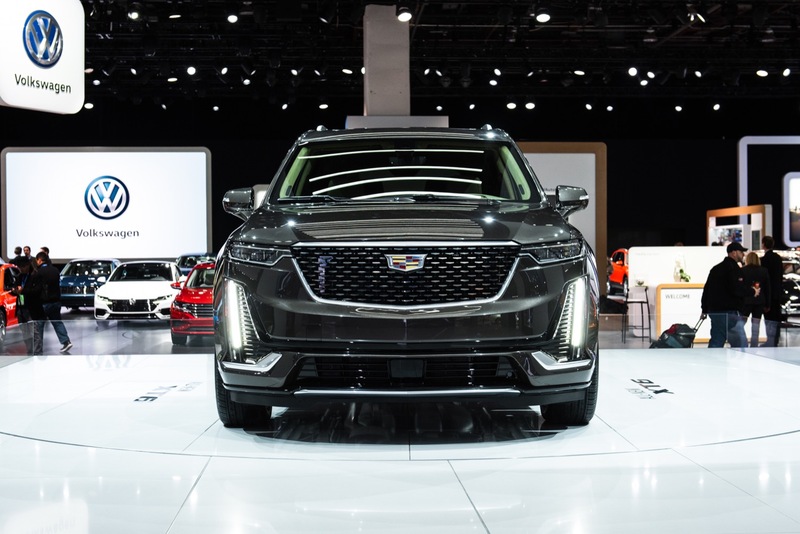 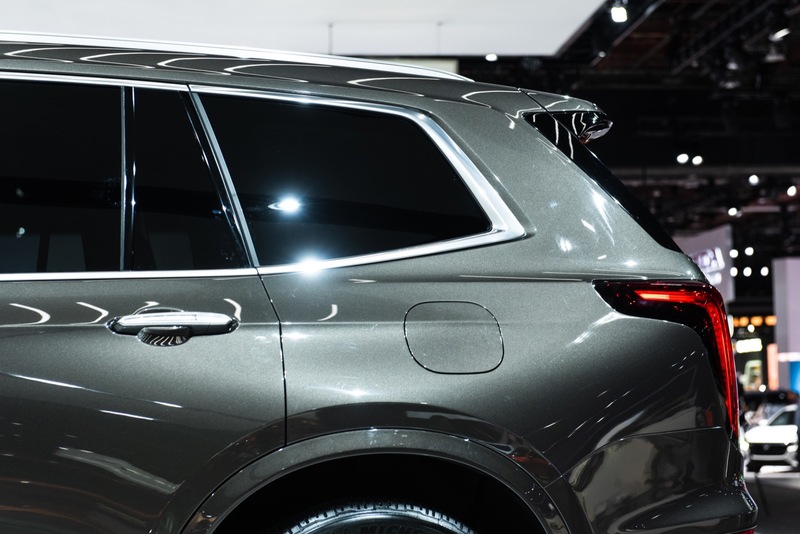 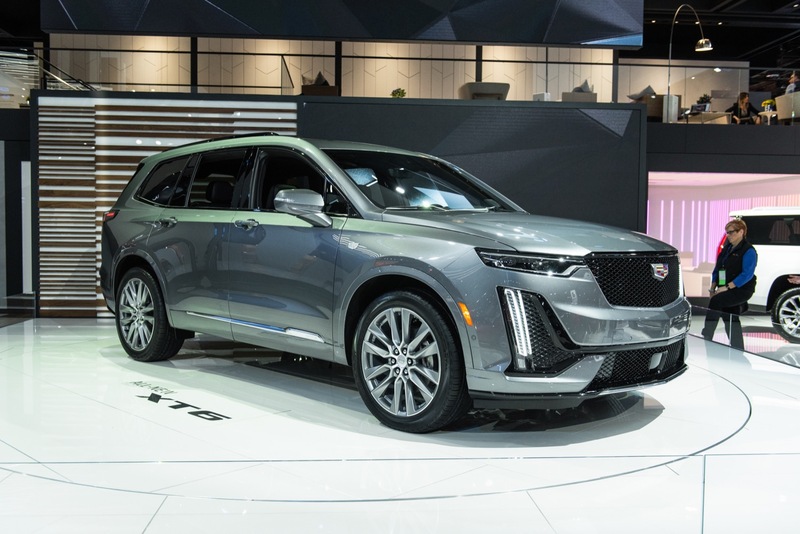 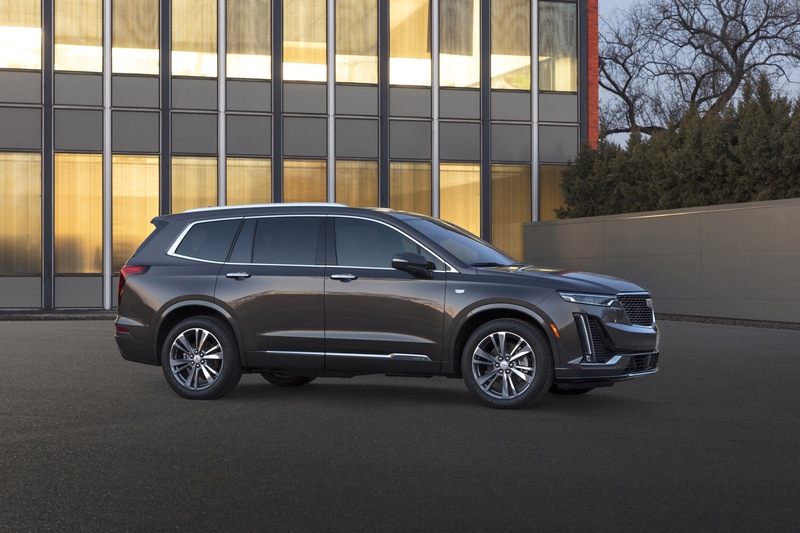 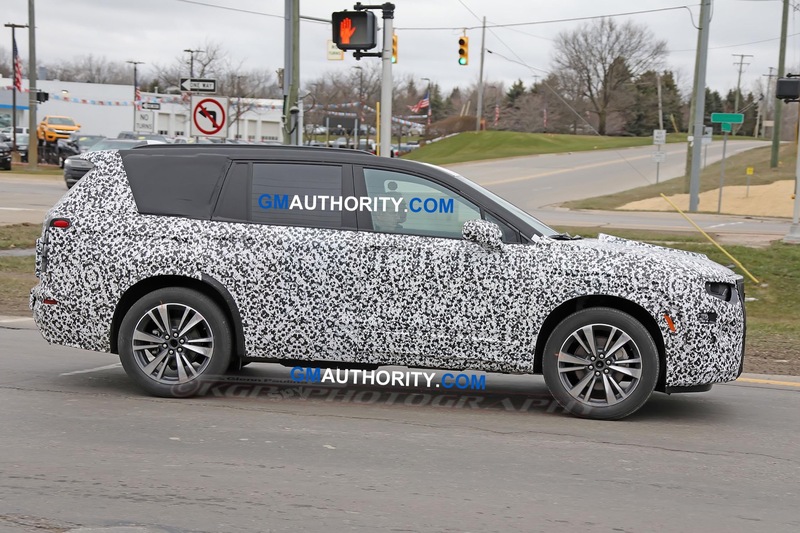 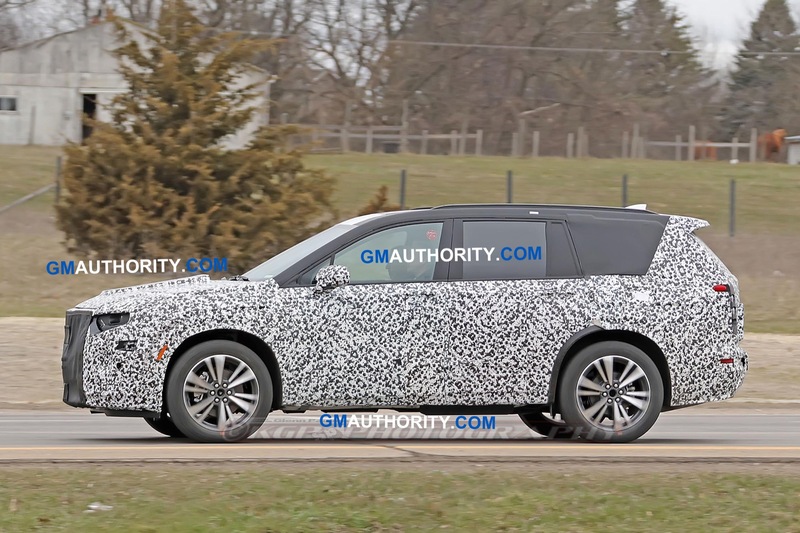 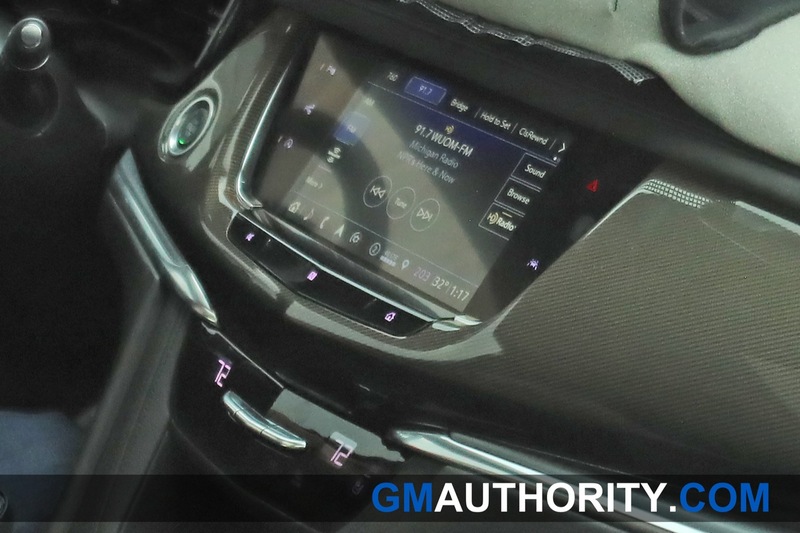 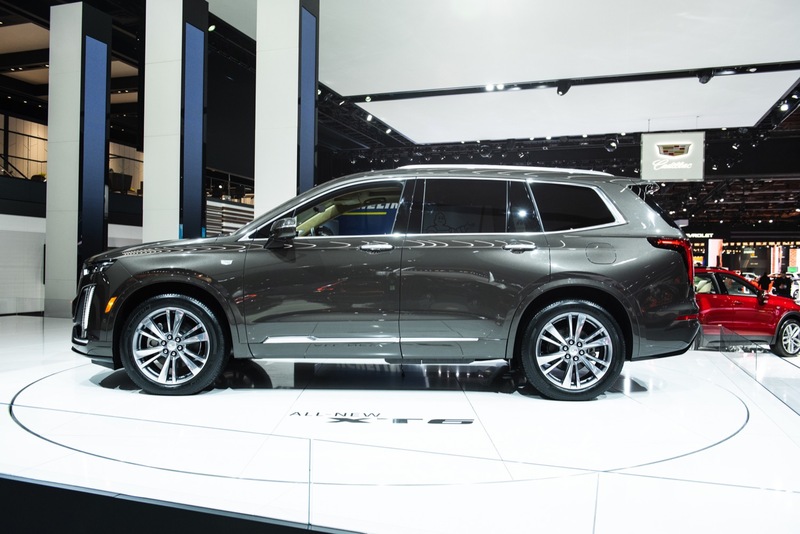 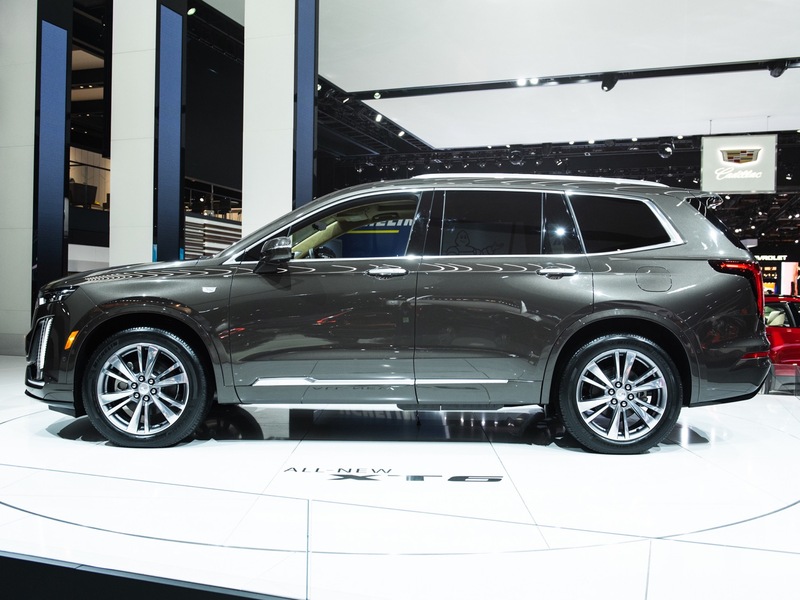 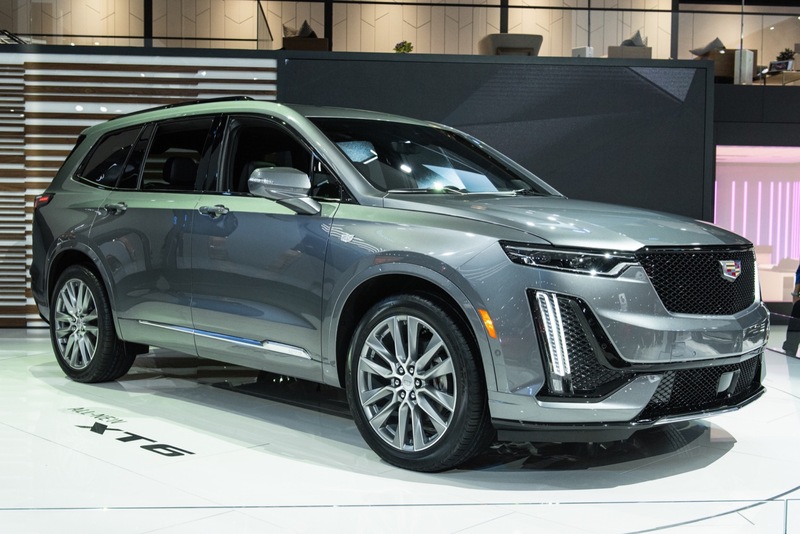 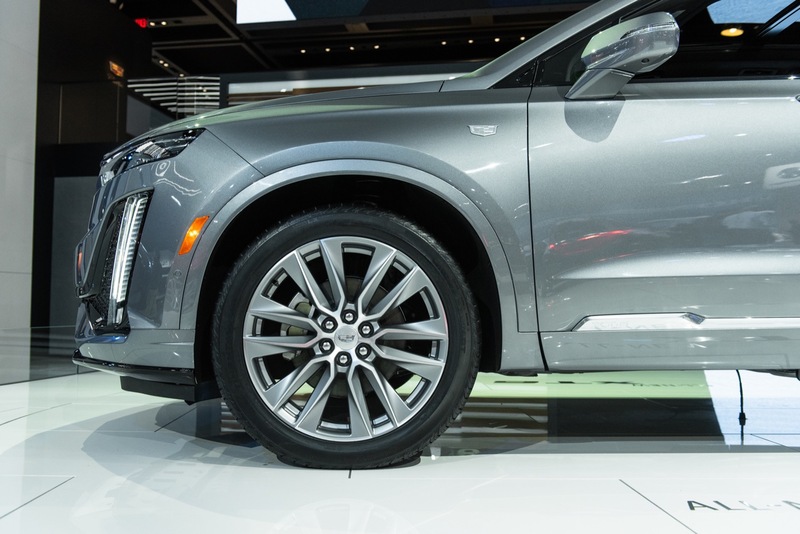 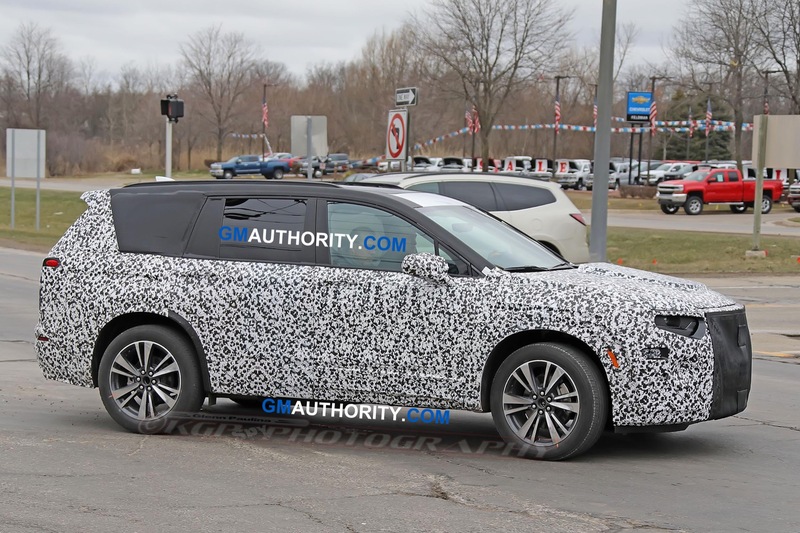 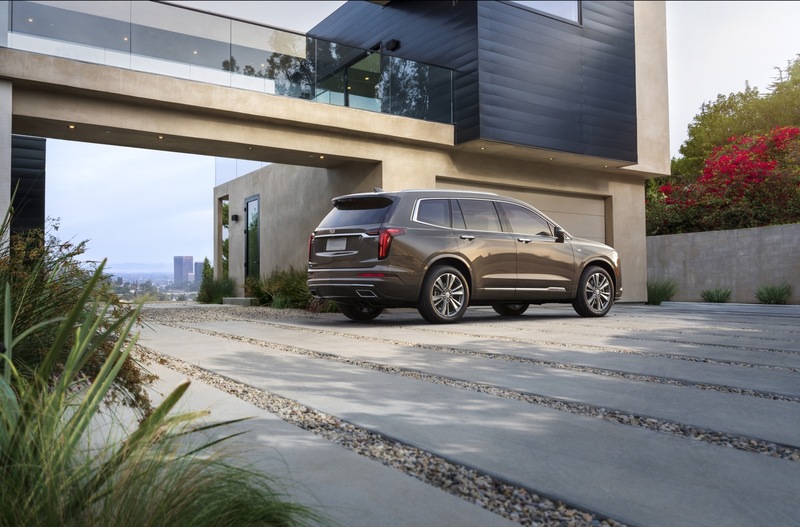 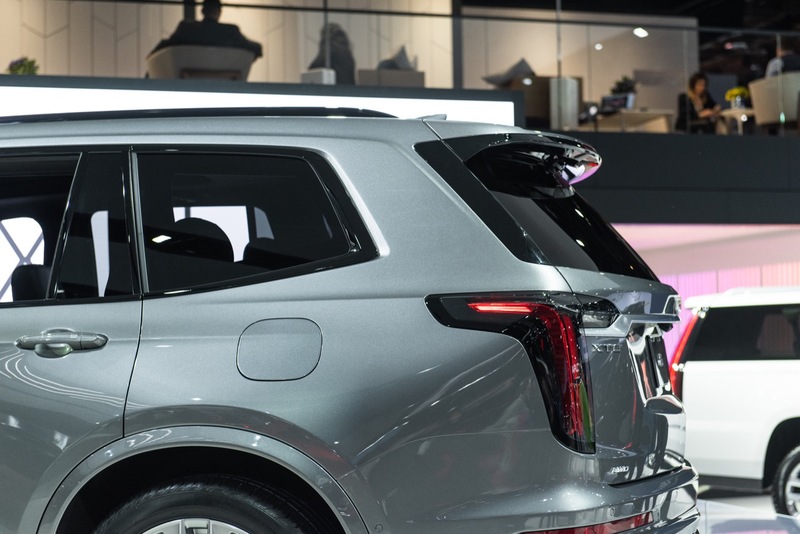 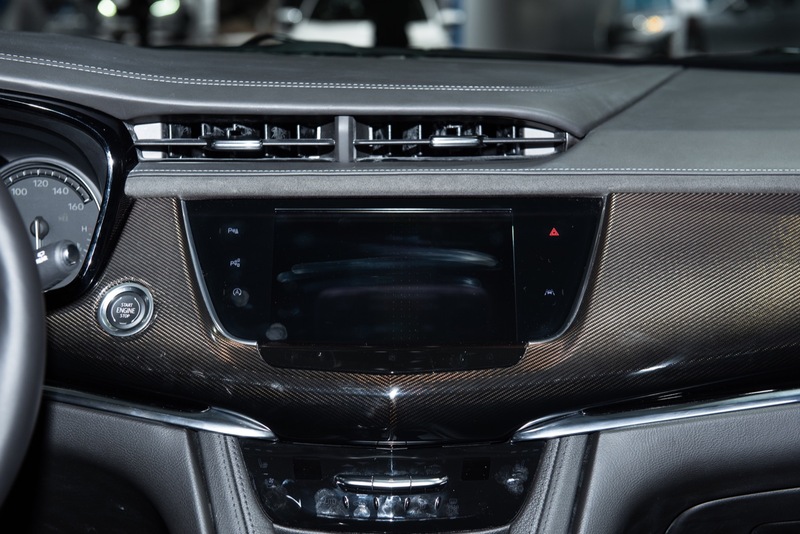 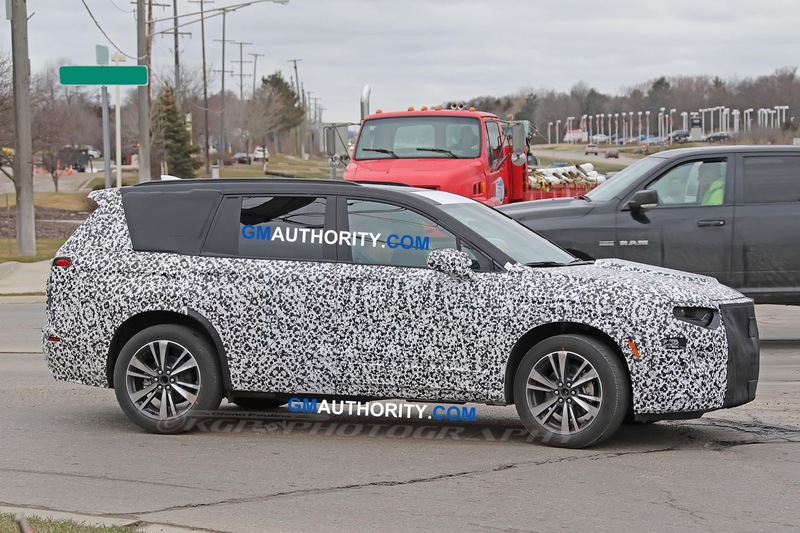 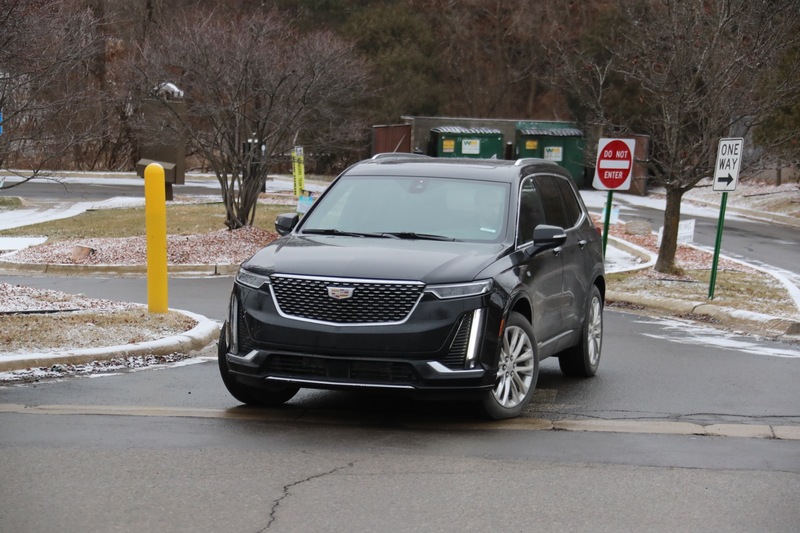 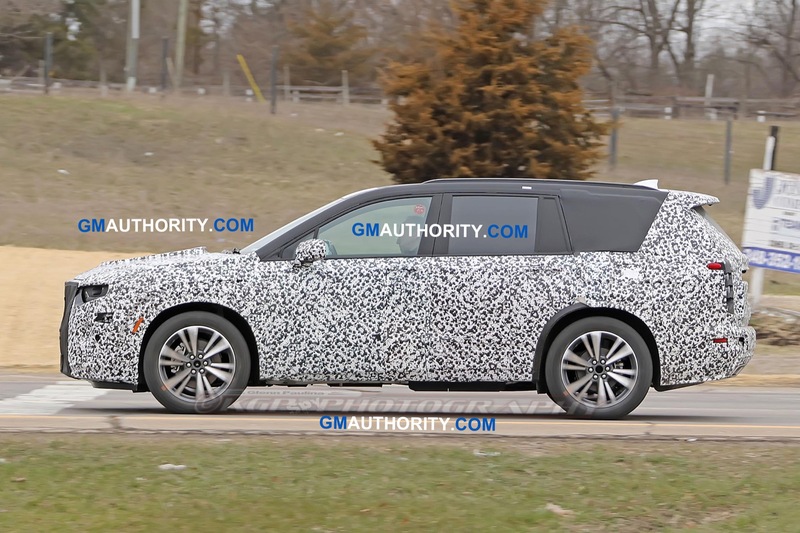 The 2020 Cadillac XT6 made its global debut two weeks ago at the 2019 North American International Auto Show in Detroit. 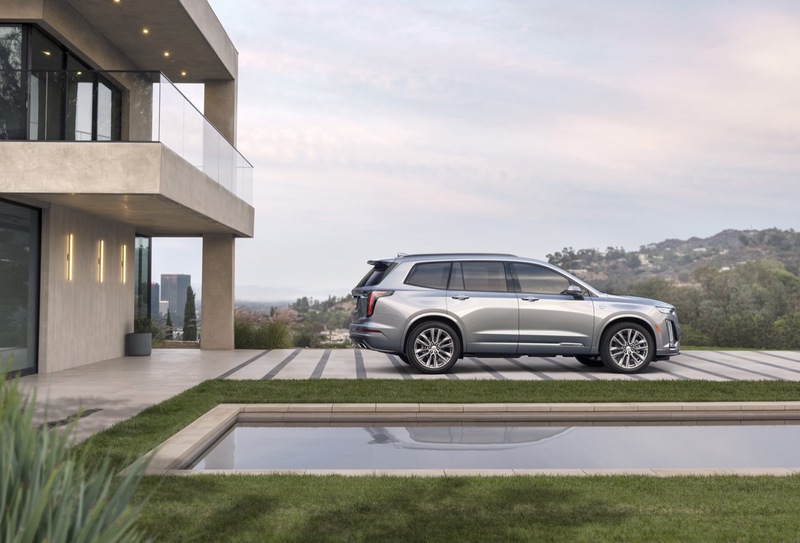 The all-new, three-row crossover boasts a combination of spaciousness, safety, and convenience features to provide an enjoyable ride for all passengers, yet its landmark feature is increased length that allows for the addition of a third row – something that no current Cadillac crossover offers – a circumstance that has prevented Cadillac from fully capitalizing on the rapidly-growing crossover space. 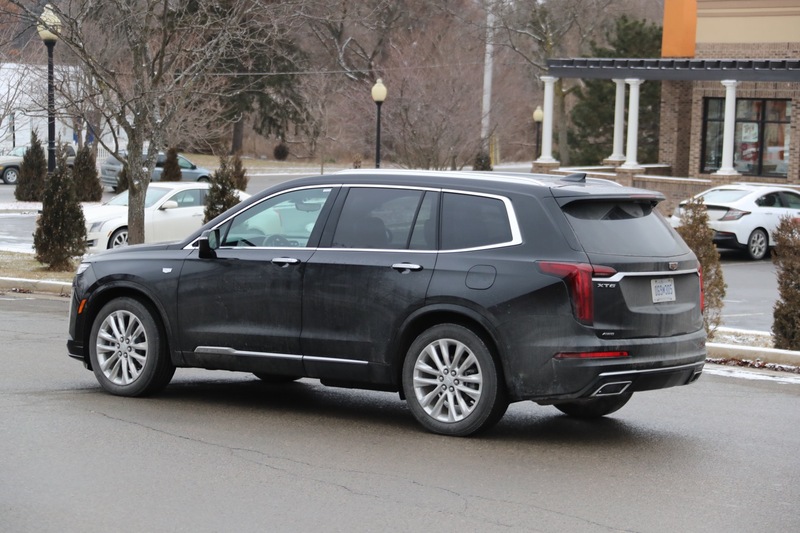 For that reason, we were surprised that Cadillac’s initial press release announcing the XT6 did not specify exactly how many passengers the XT6 would be capable of seating. 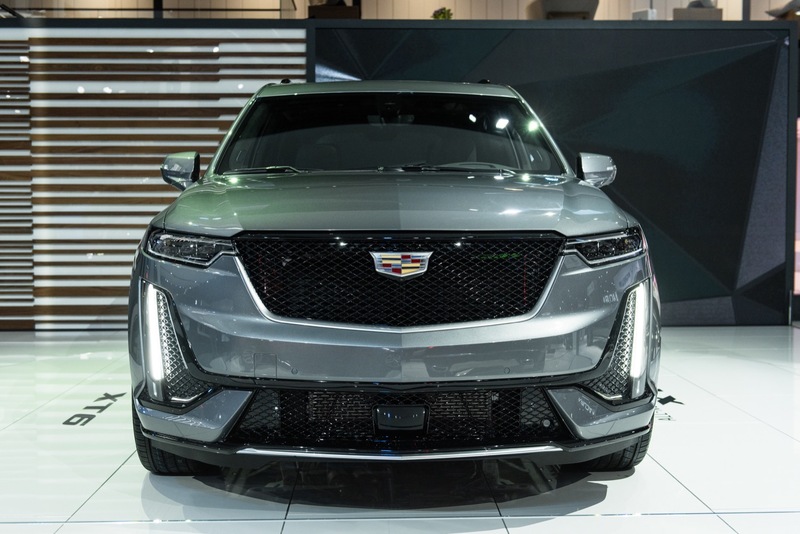 So our colleagues at Cadillac Society reached out to Cadillac for more information. 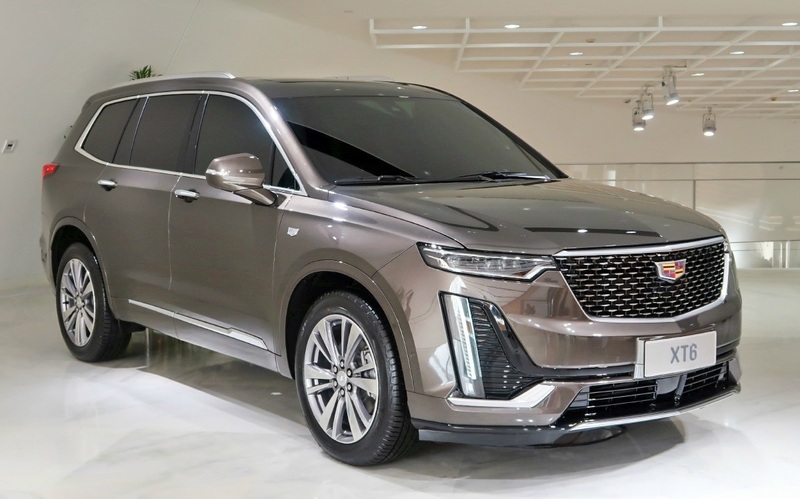 As it turns out, the XT6 will feature two seating configurations that could accommodate either six or seven passengers. 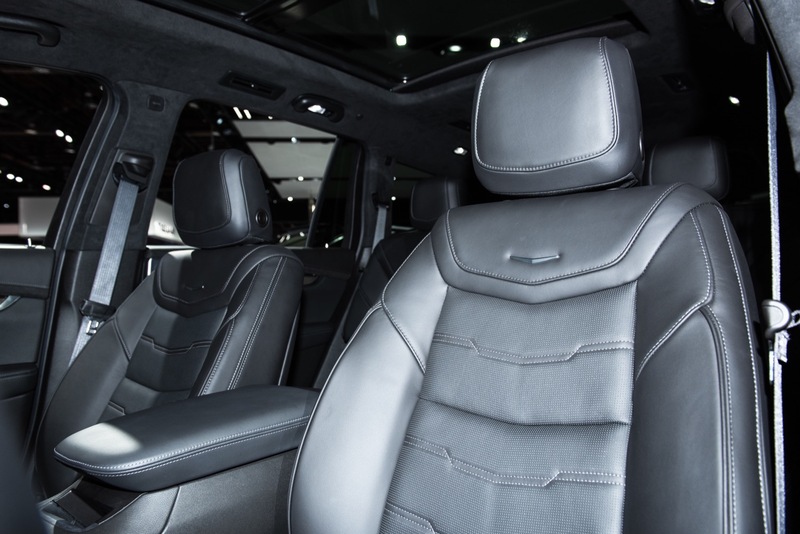 The standard configuration features a second-row bench, delivering seating for seven passengers. 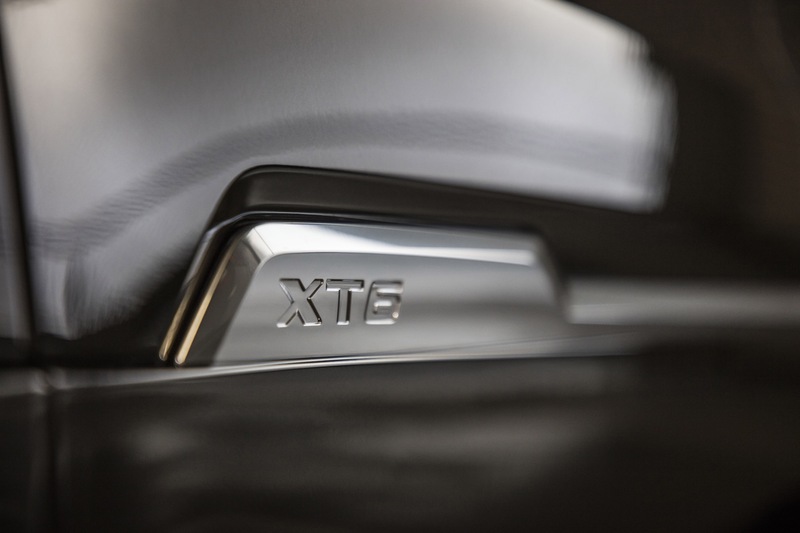 Should one not need seating for seven, the XT6 can be ordered with seating for six thanks to optional second-row captain’s chairs. 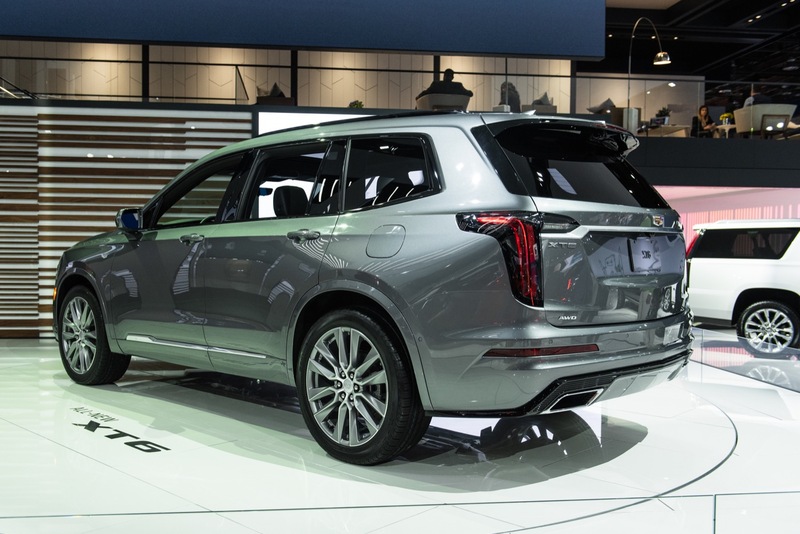 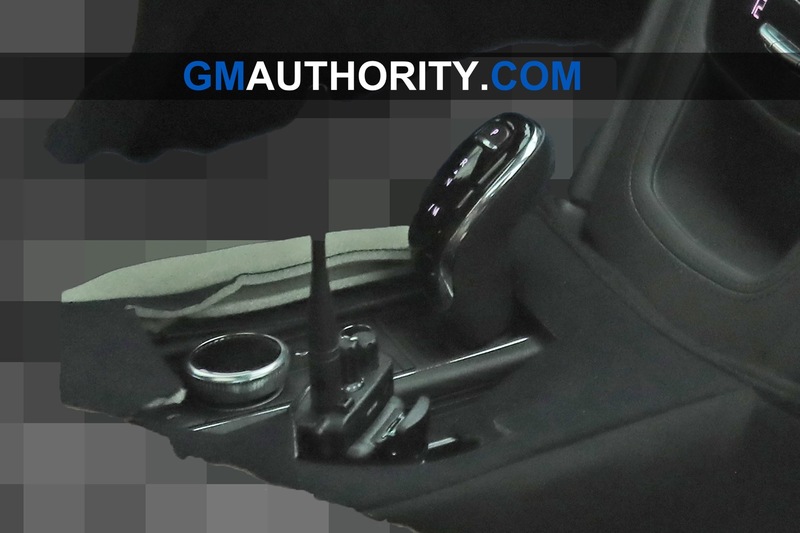 We will keep you updated as more details surface on Cadillac’s new midsize plus crossover SUV. 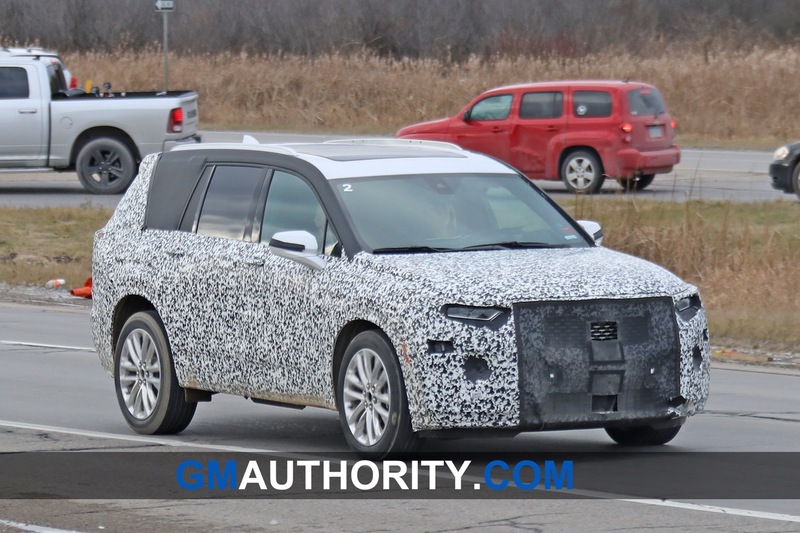 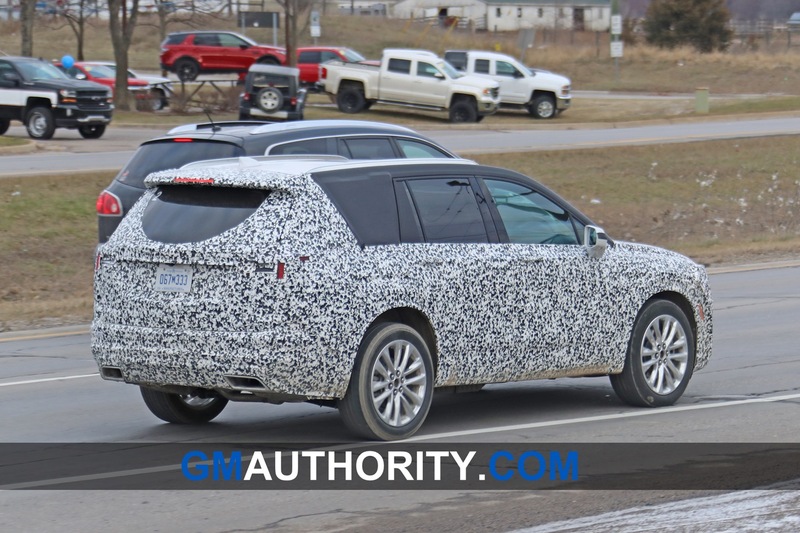 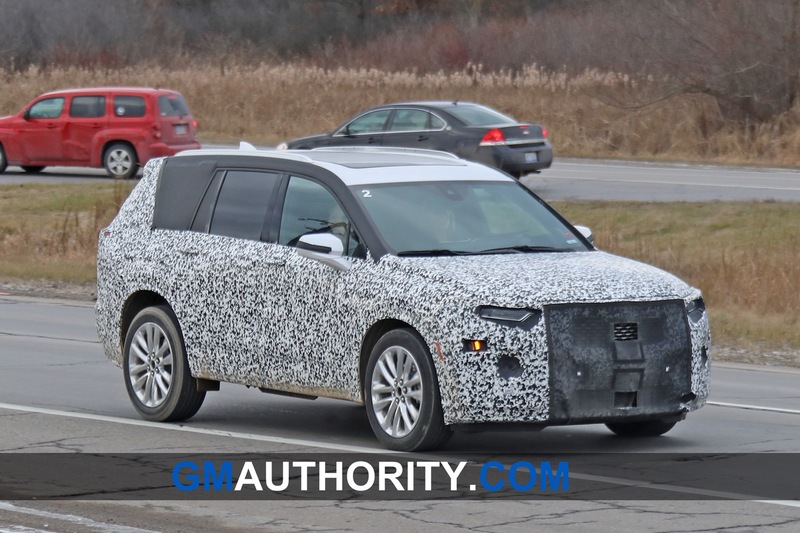 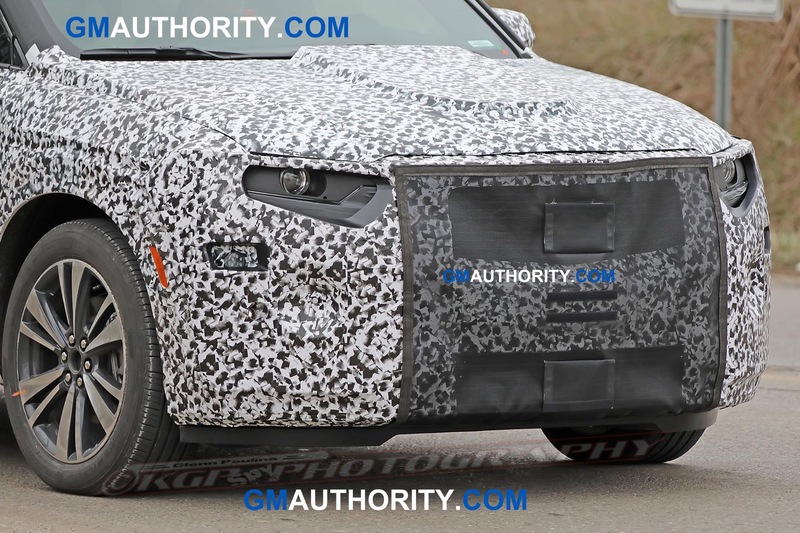 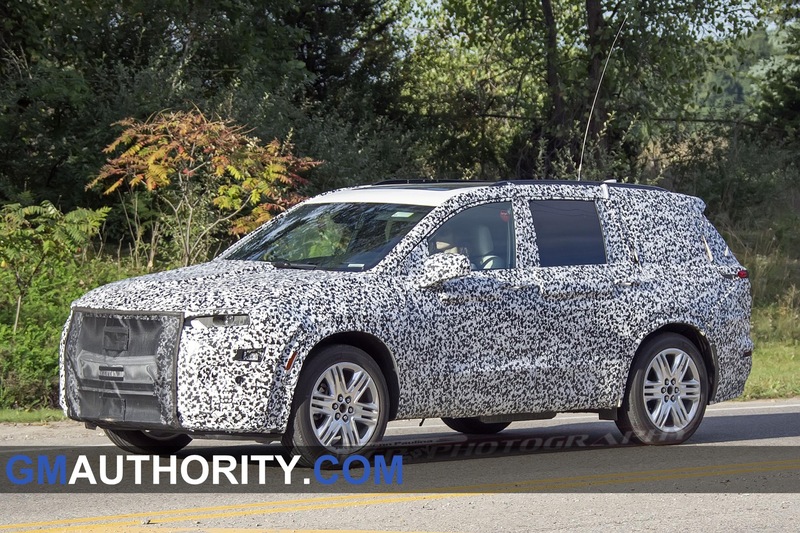 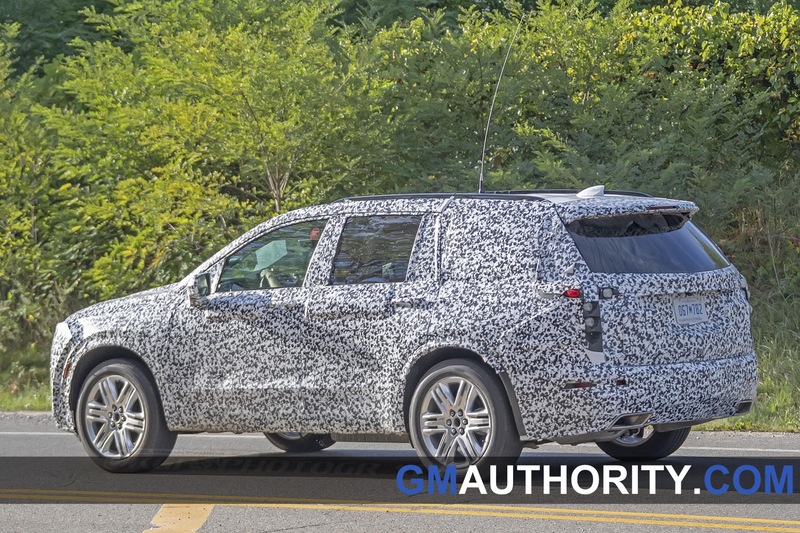 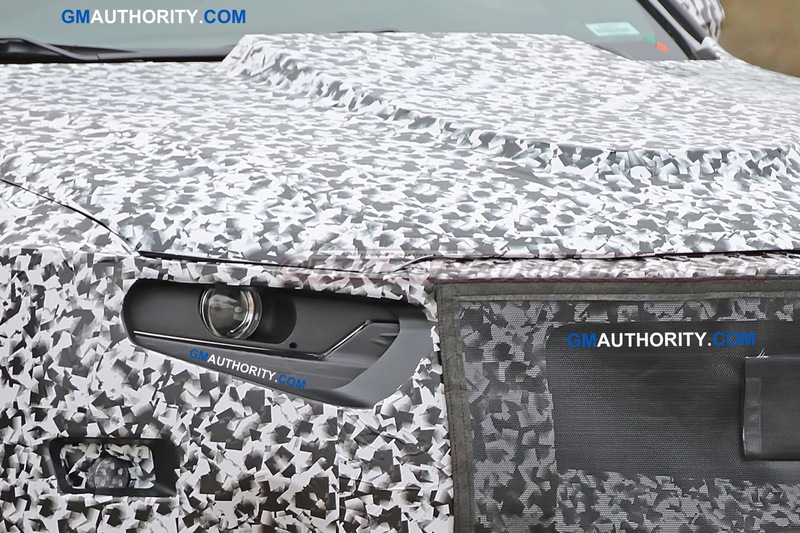 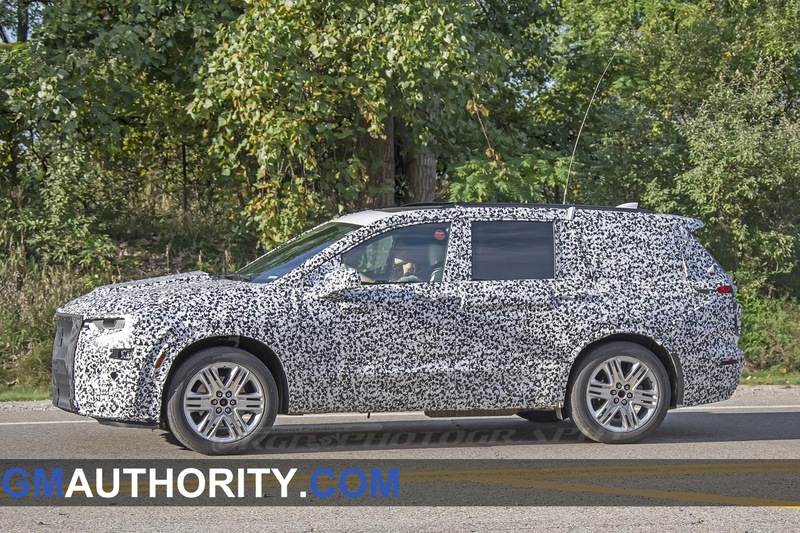 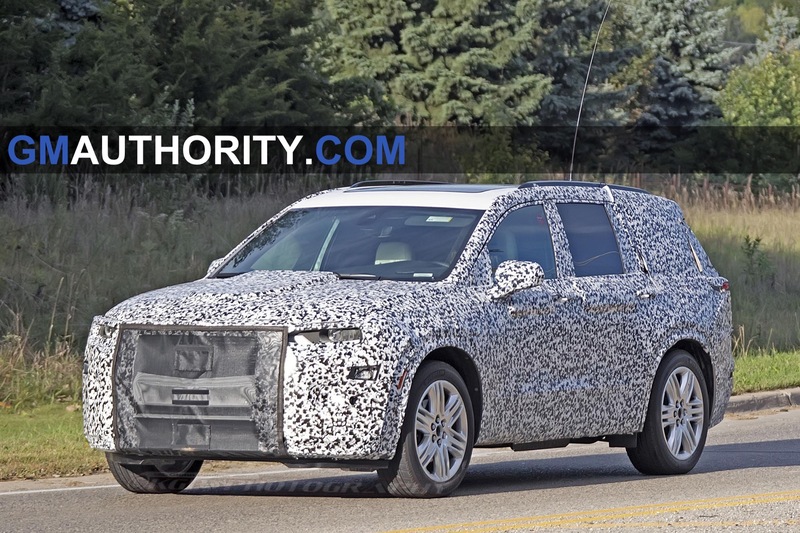 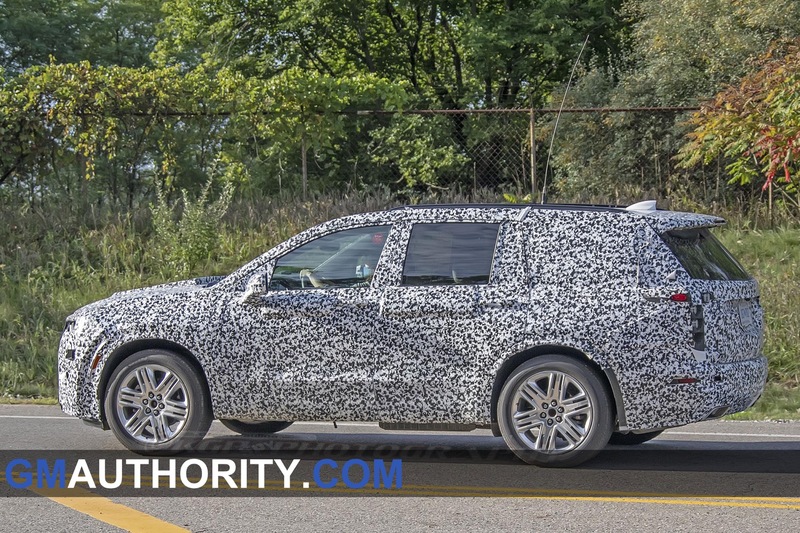 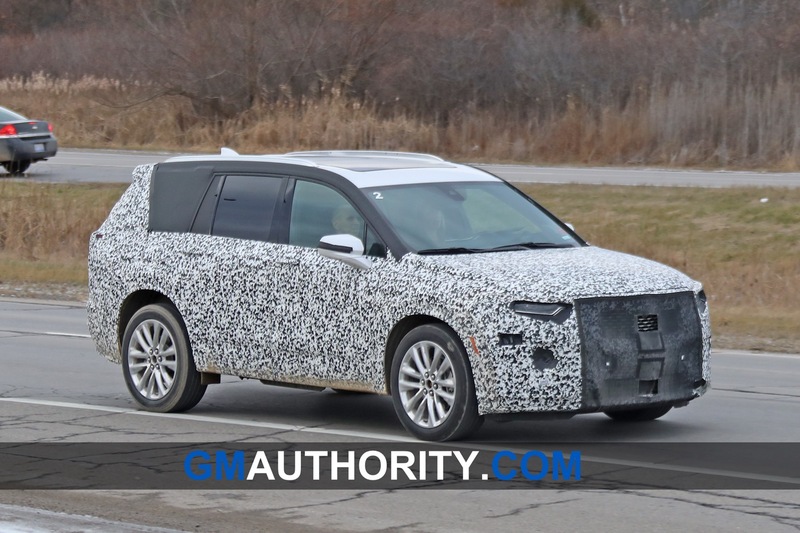 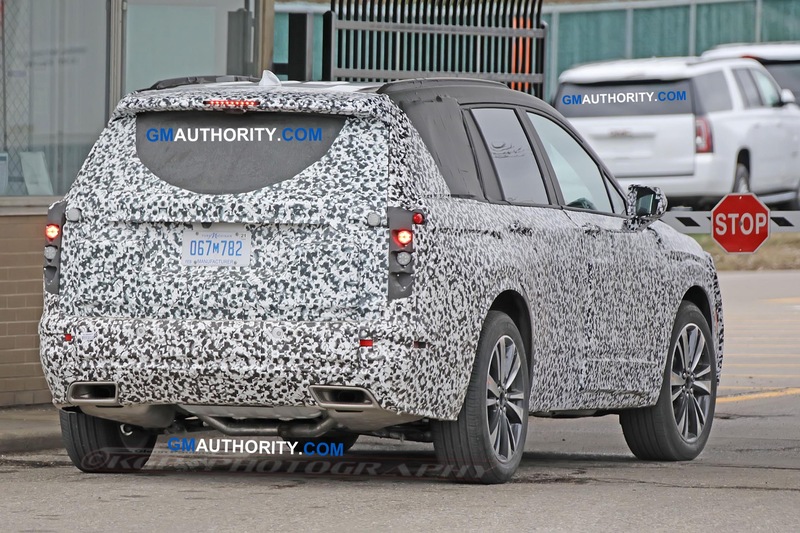 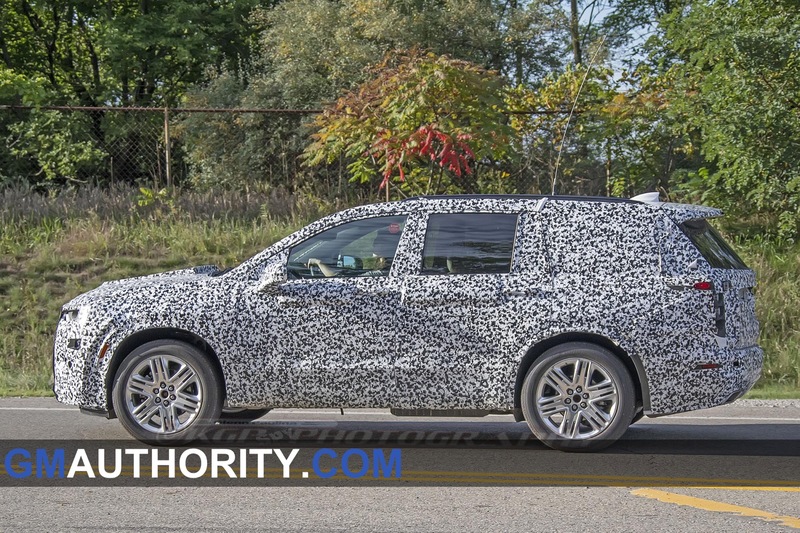 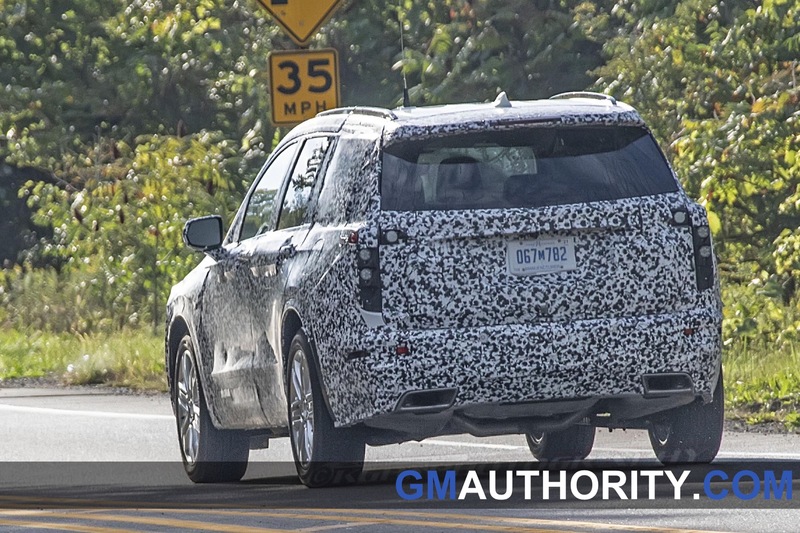 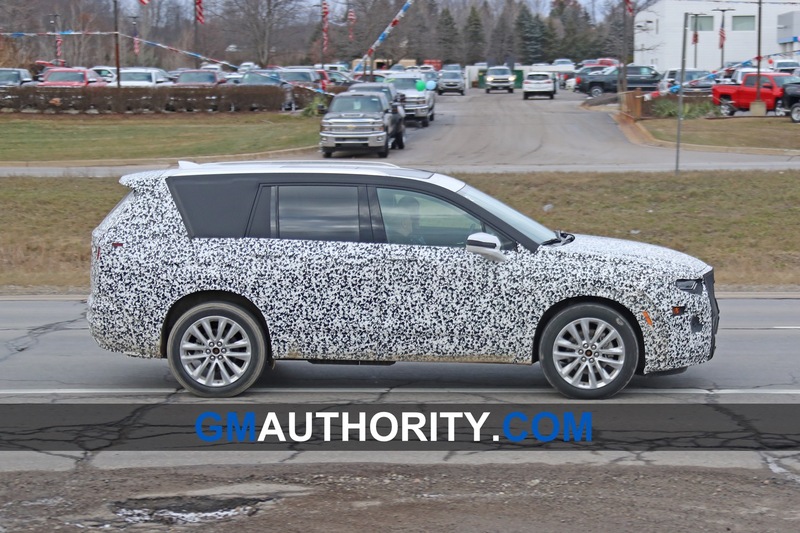 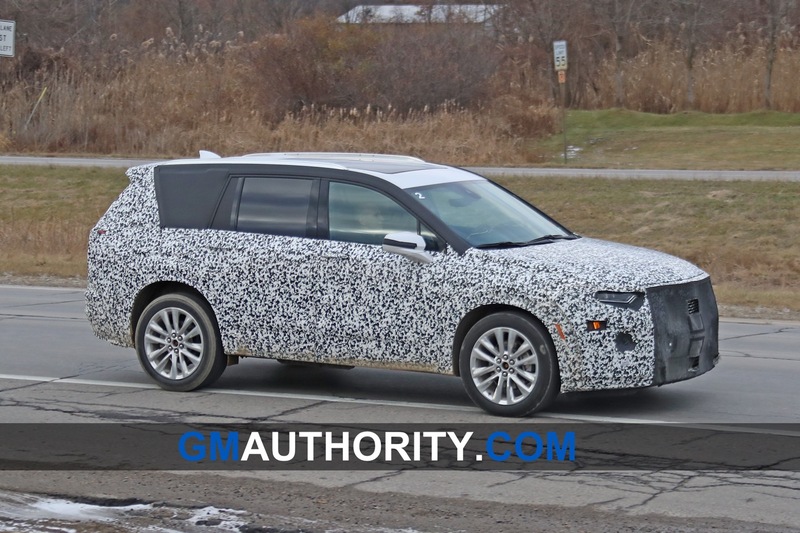 In the meantime, stay tuned to GM Authority for more Cadillac news and Cadillac XT6 news. 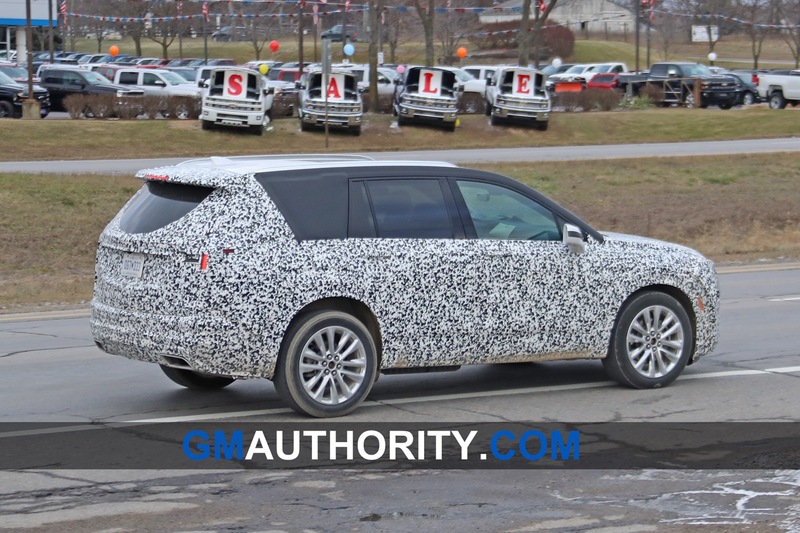 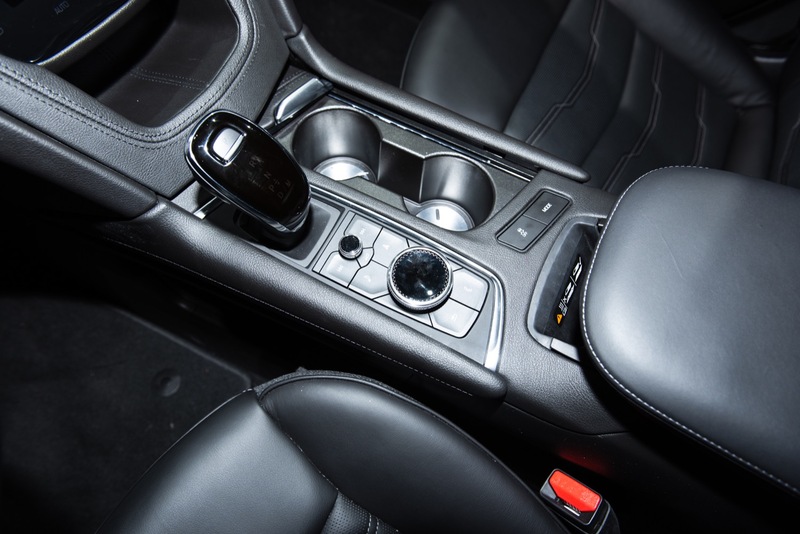 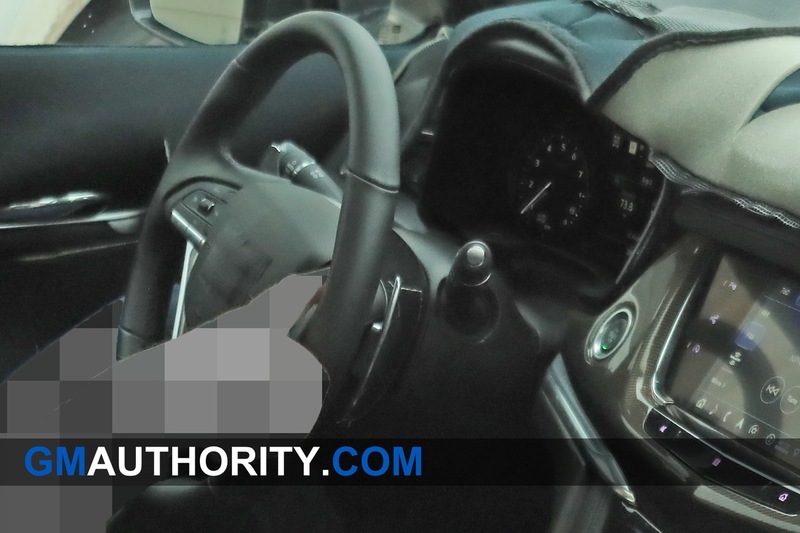 It is the same hint as a Acadia with just a few more standard features and better leather. 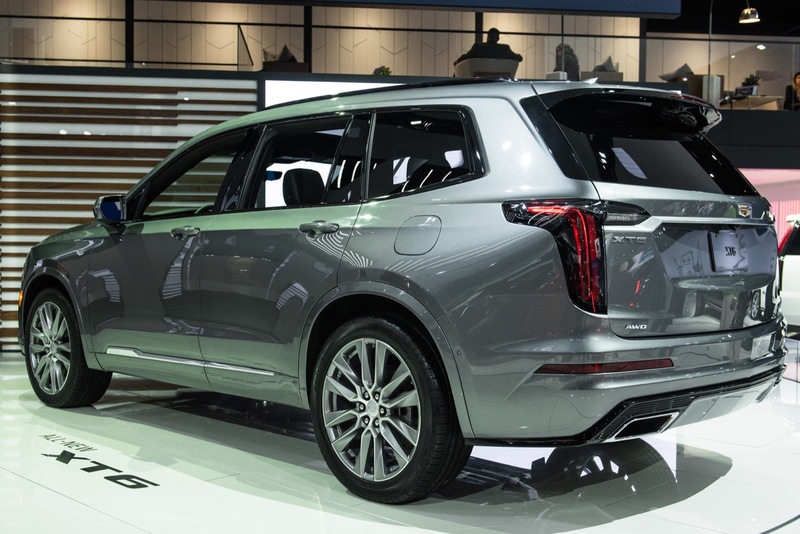 Still not enough to make me trade up from my Denali. 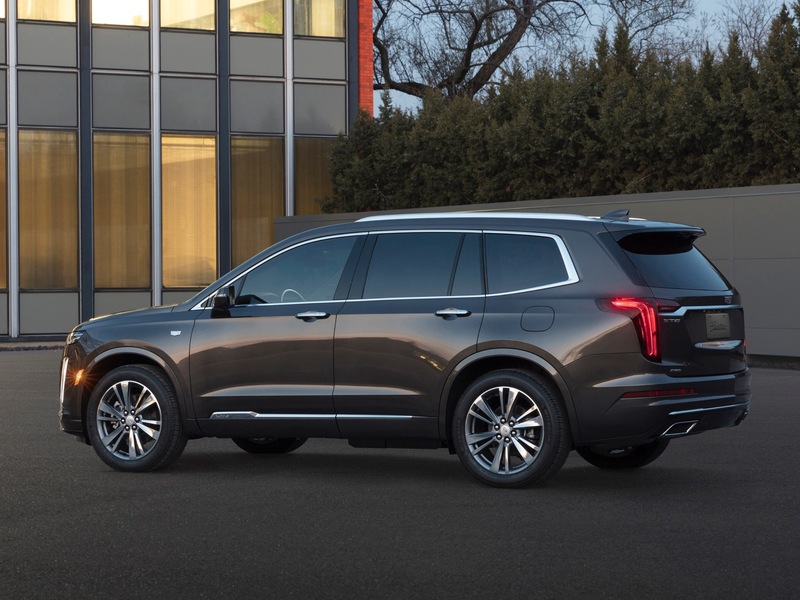 The XT 6 is nice but the Denali is a better value. 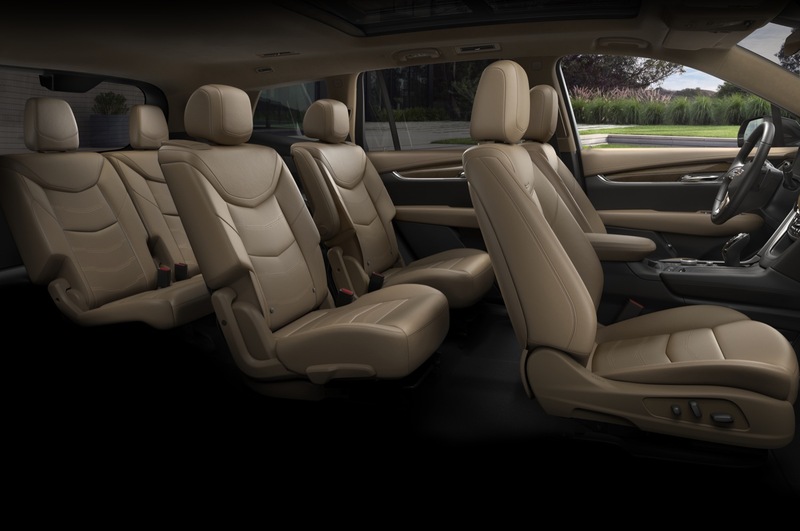 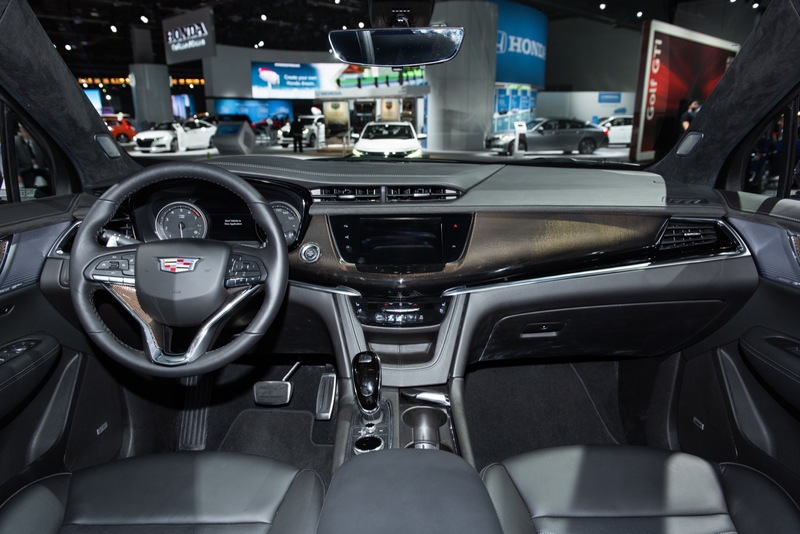 The architecture is the same as the Acadia, but the seat configurations are different given that the XT6 is not offered with the 2-3 (front-rear occupants) setup that the Acadia All Terrain offers. 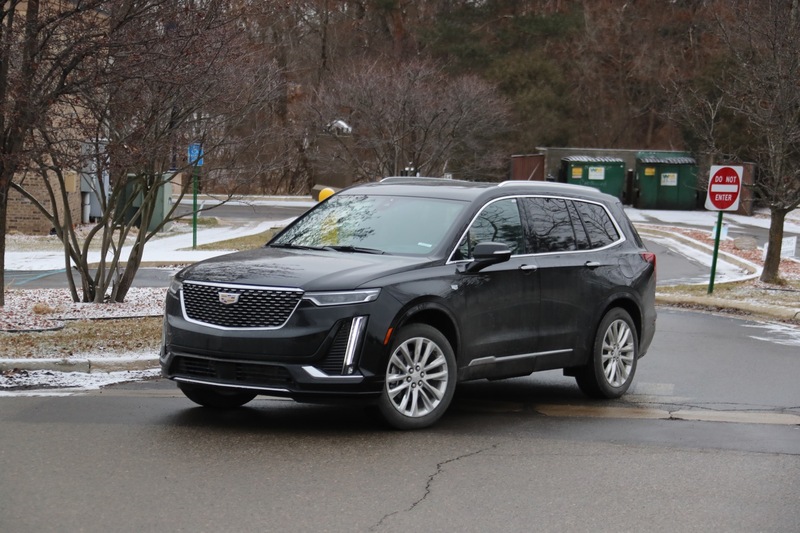 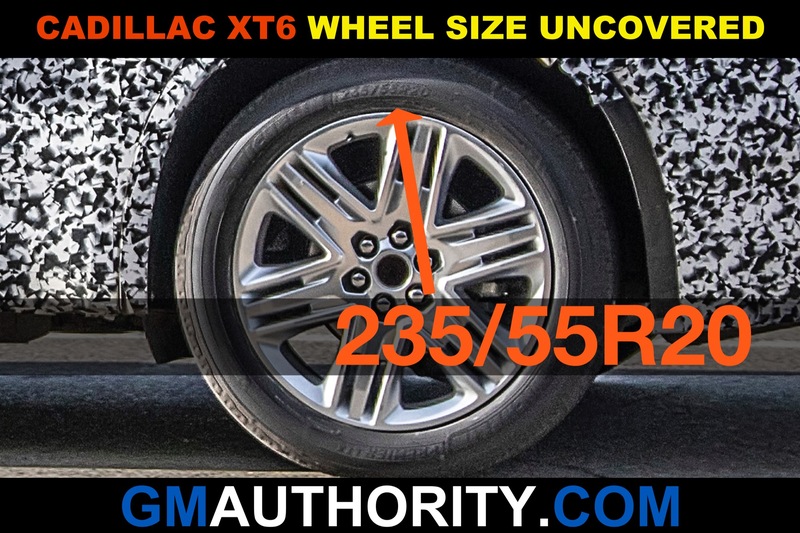 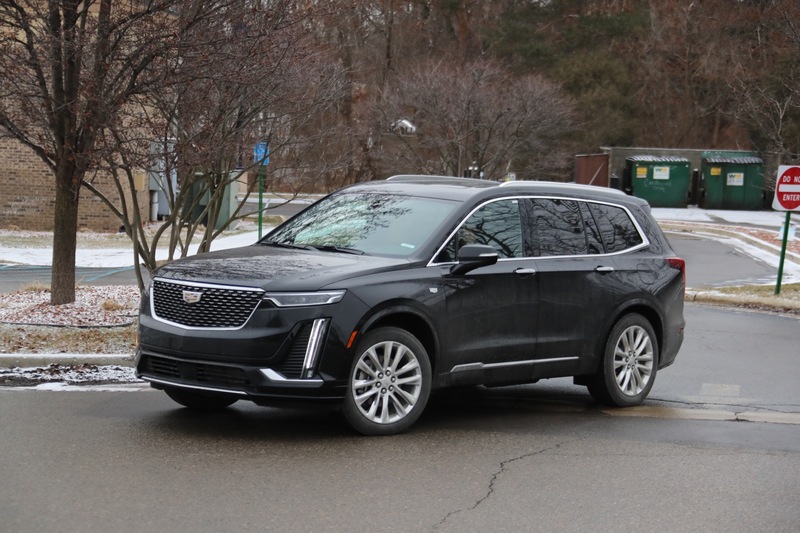 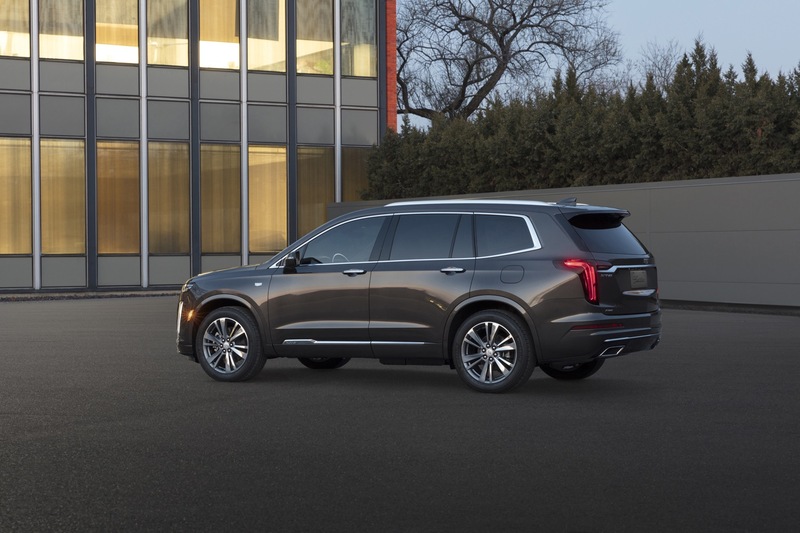 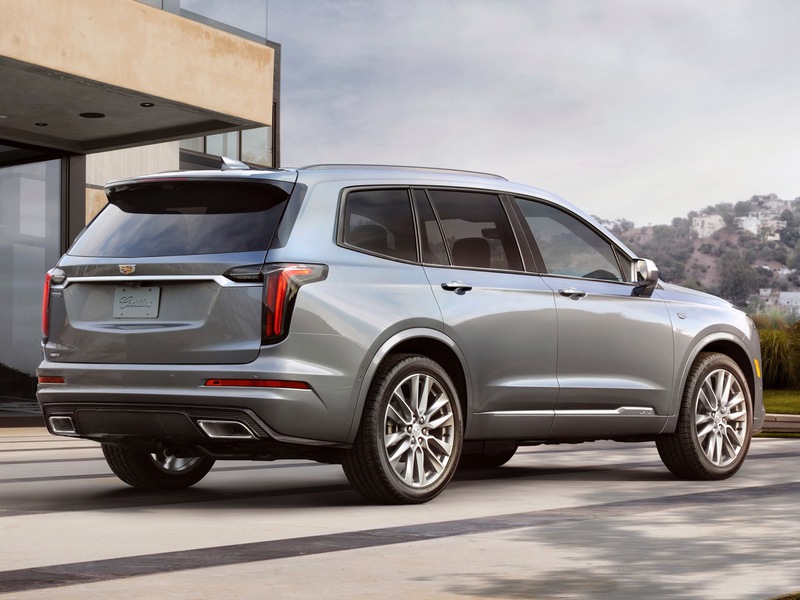 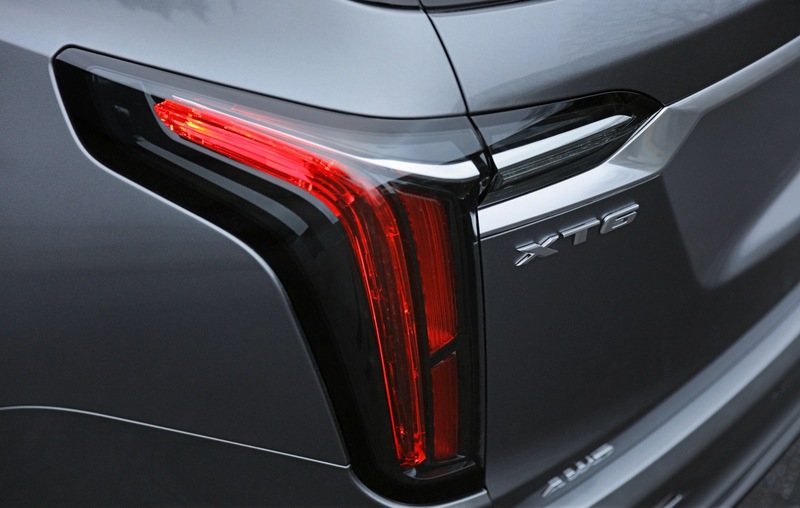 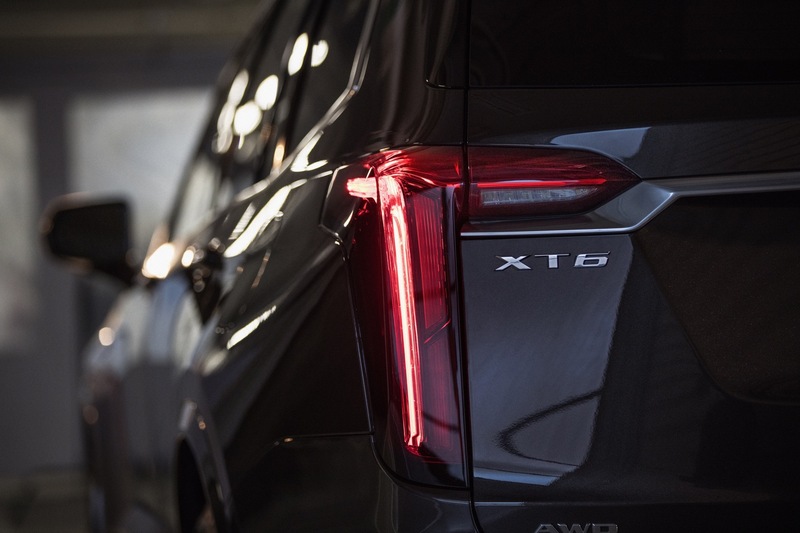 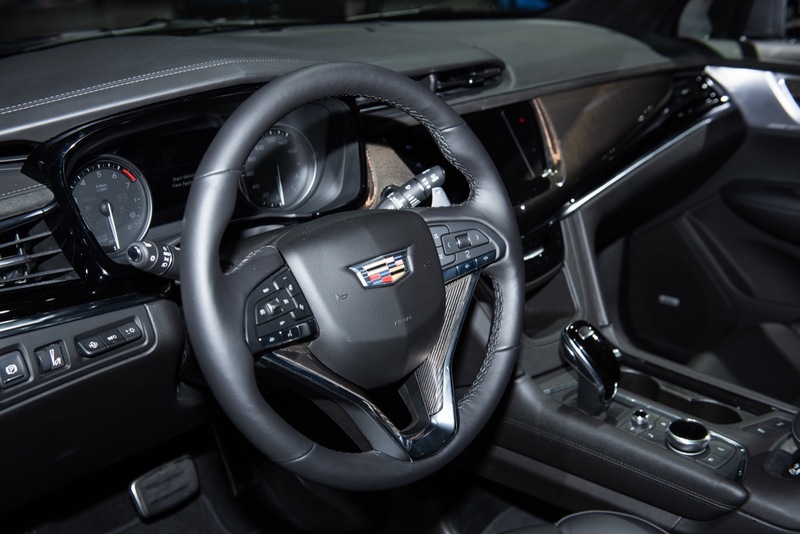 With the XT6, you get all the benefits of it being a Cadillac – the styling, the longer warranty, the significantly better interior (if you’re buying to keep vs. leasing). 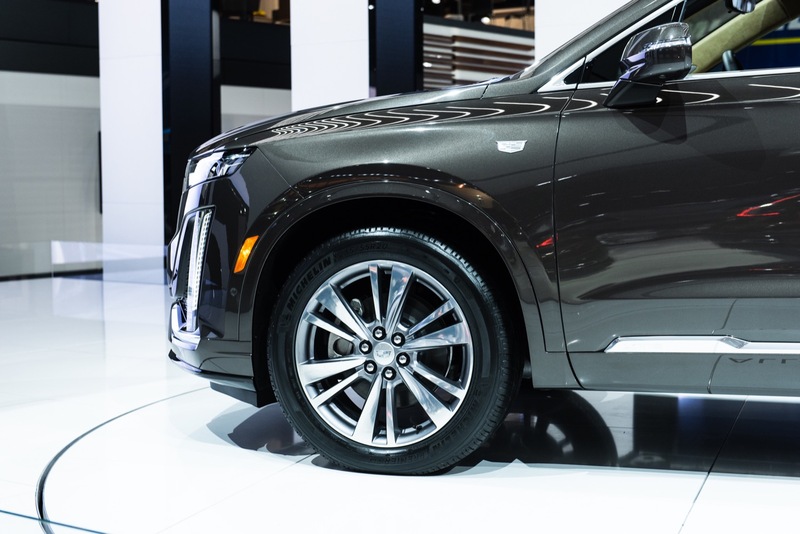 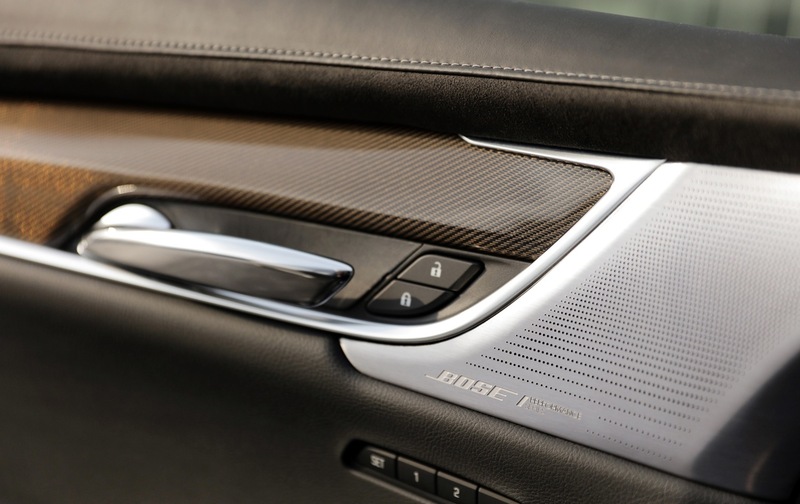 But at the end of the day, you run into the issue that all automakers run into that share platforms across mainline and highline brands: you can get the same platform in a different model. 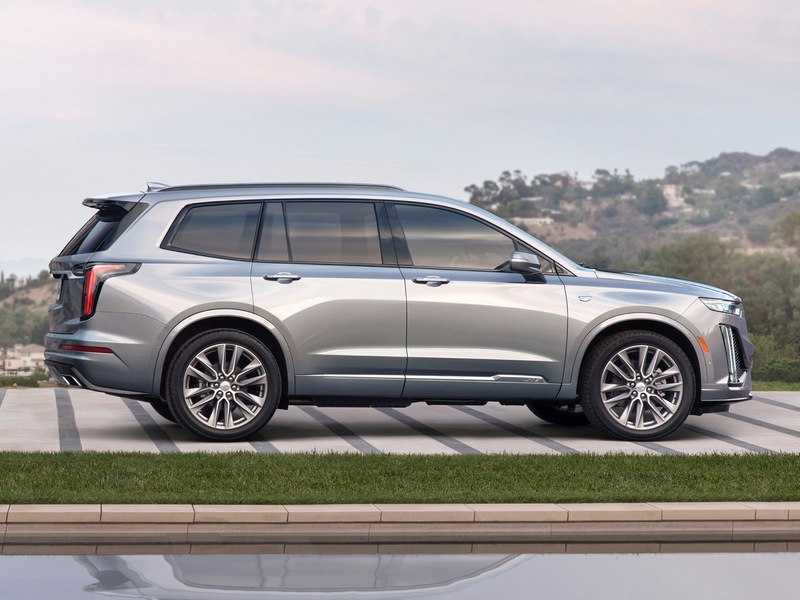 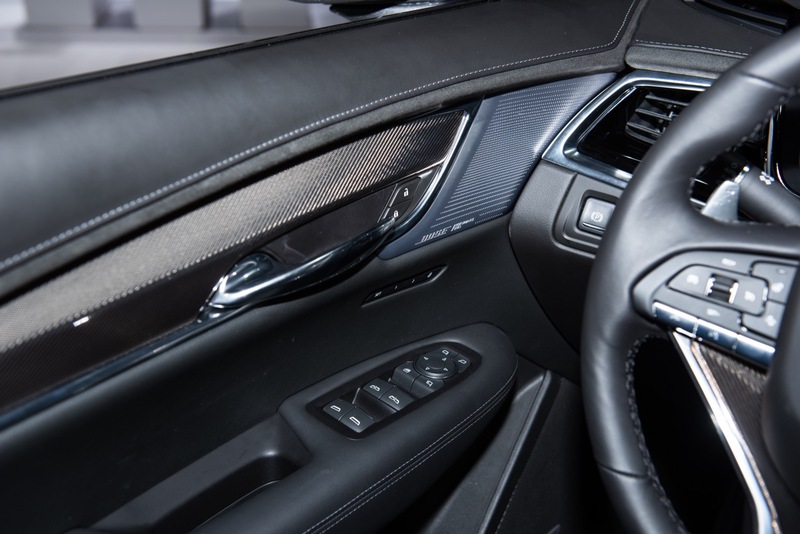 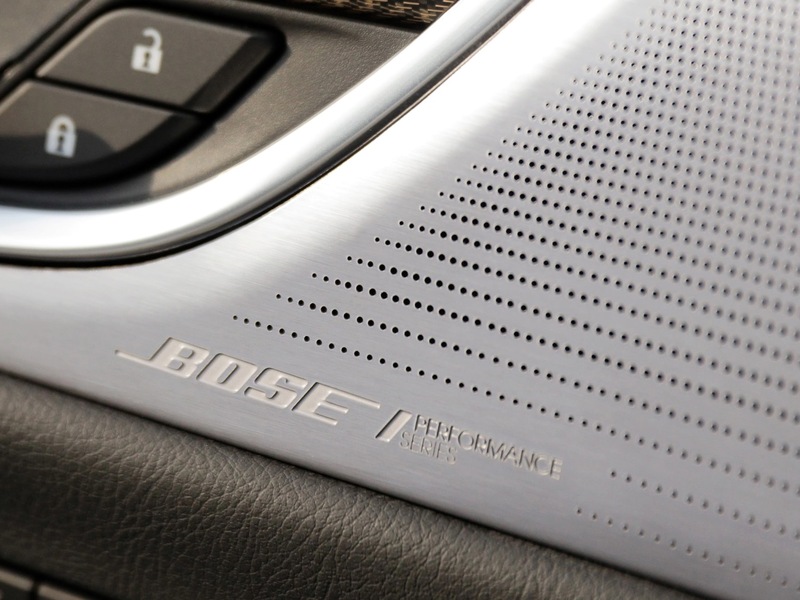 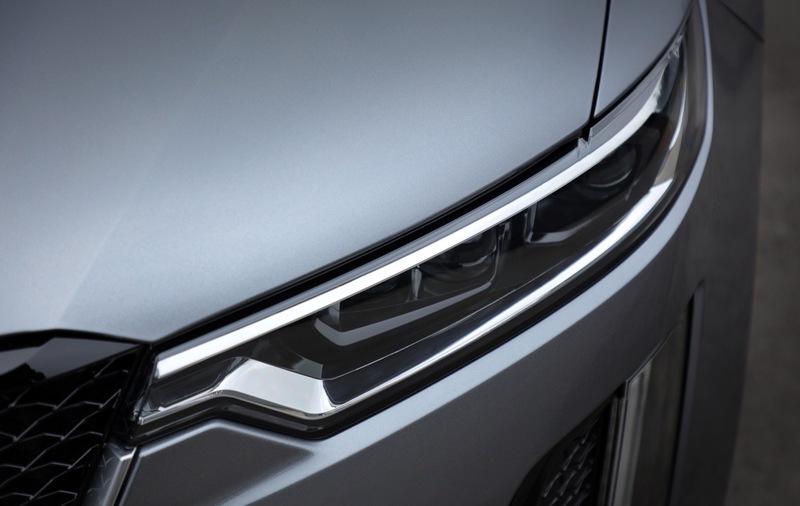 This issue is observed with the Toyota Highlander and Lexus RX, Honda Pilot and Acura MDX, plus the Nissan Pathfinder vs. Infiniti QX60, among others. 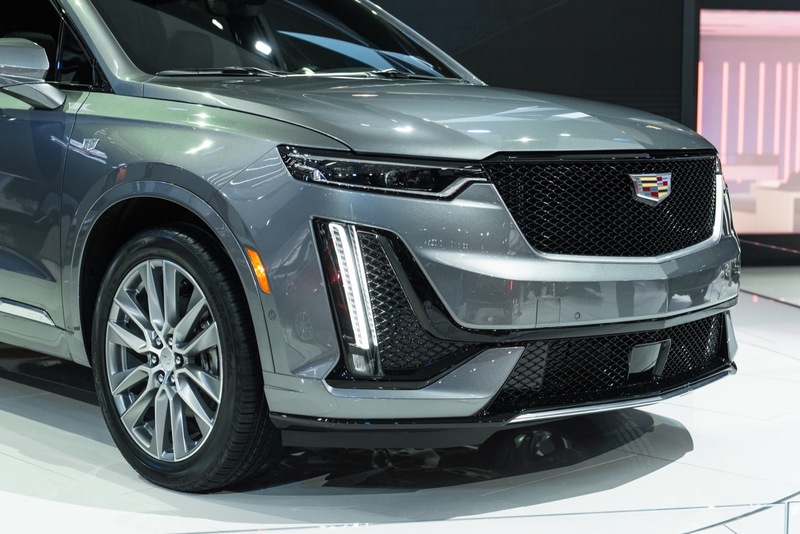 And that is one more reason to put the highline models on a different, entirely separate platform. 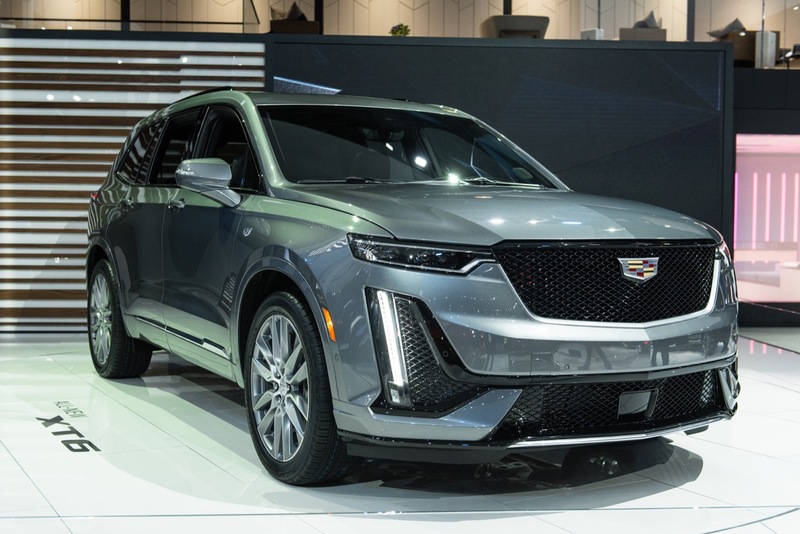 XT6 doesn’t look worth the Cadillac price. 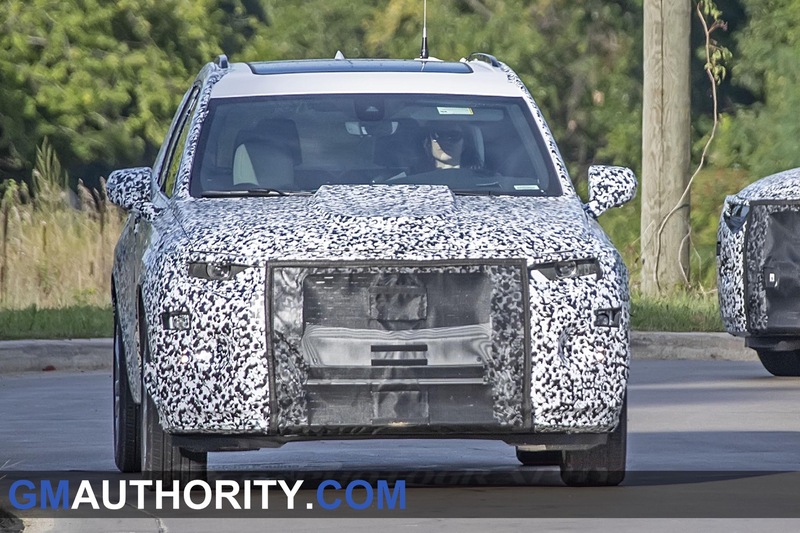 I see a dressed up Honda Pilot or worse a Dodge Journey. 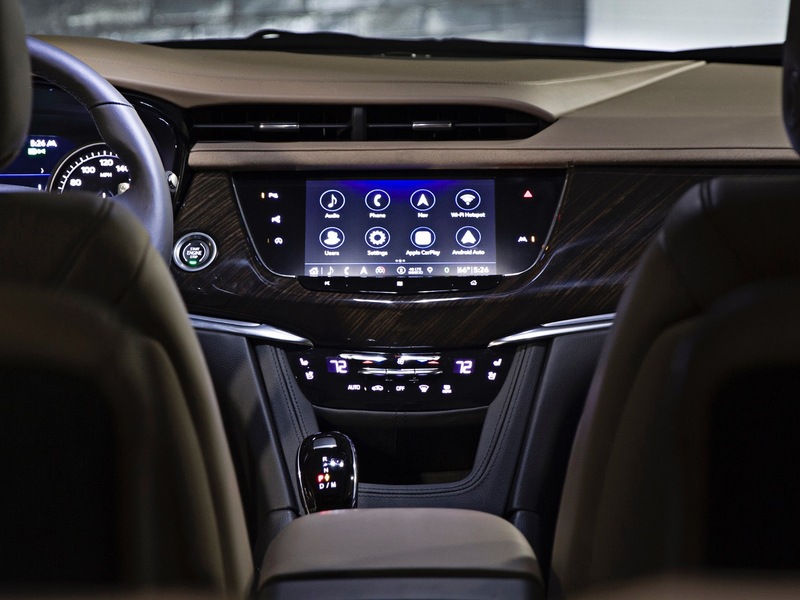 This isn’t a horrible car but Enclave has a far sleeker design. 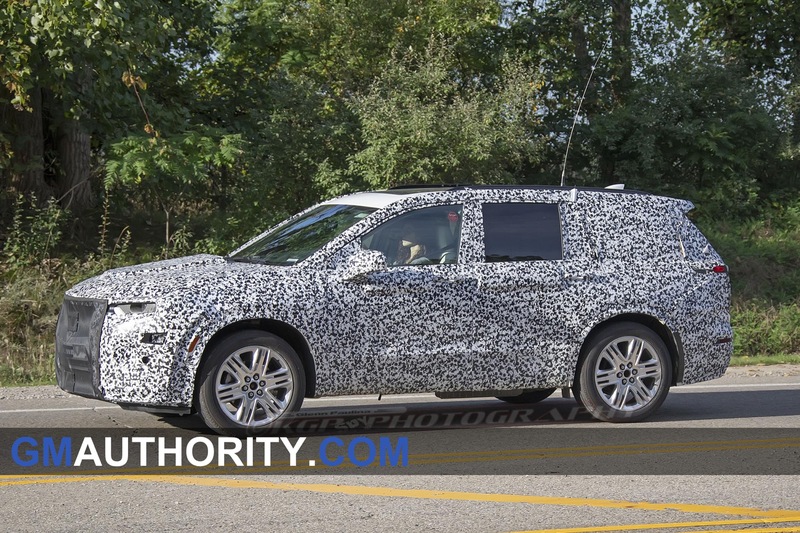 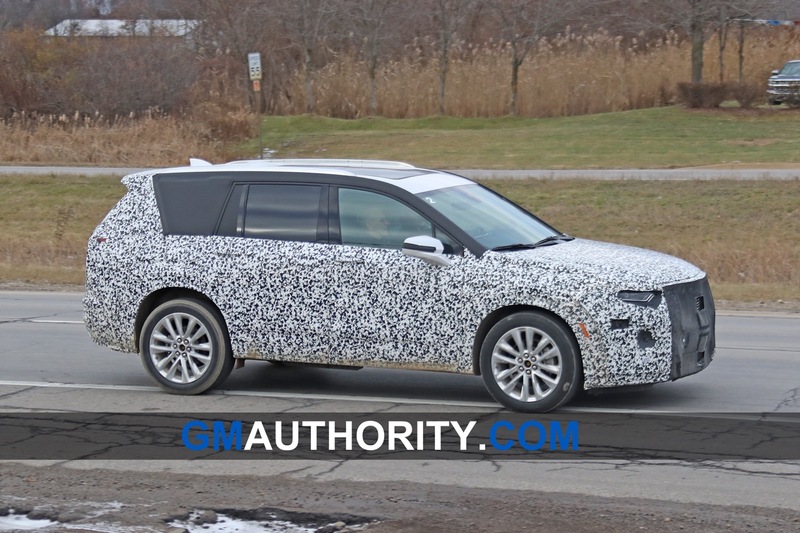 This is the CUV Chevy should have built! 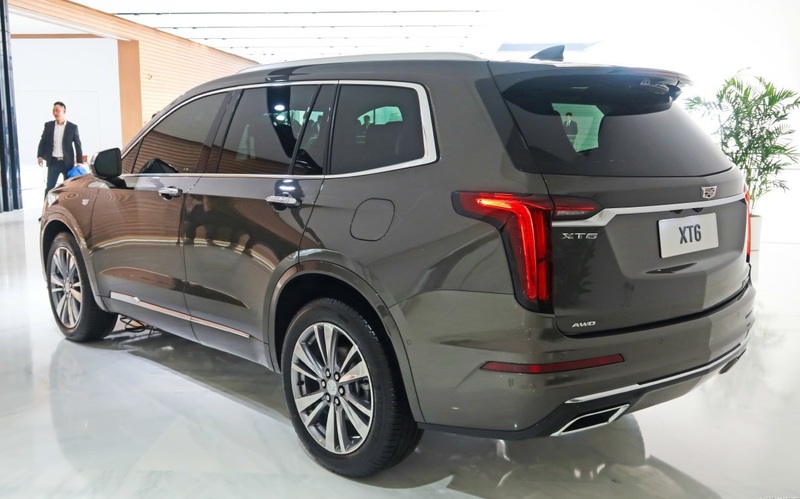 Lincoln Nautilus may even be svelte. 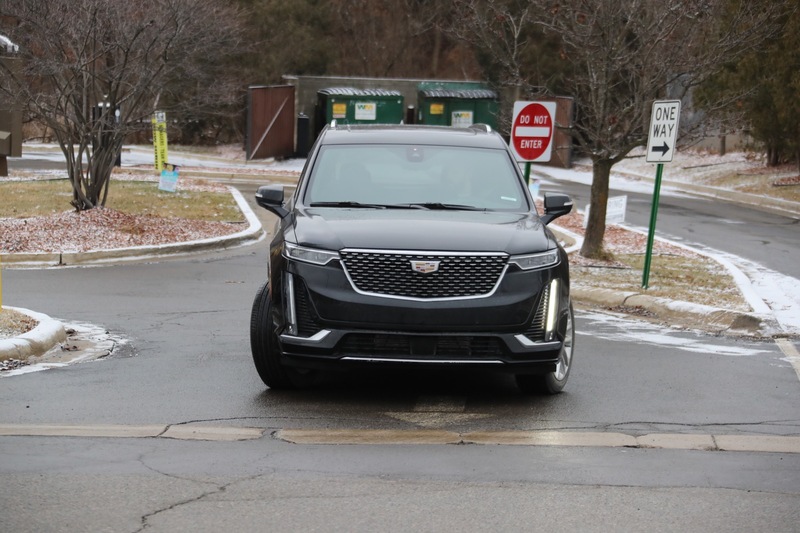 You are splitting hairs as the GMC All Terrain Acadia just removed the third row and Cadillac already offers it in the XT5 that is not very much different. 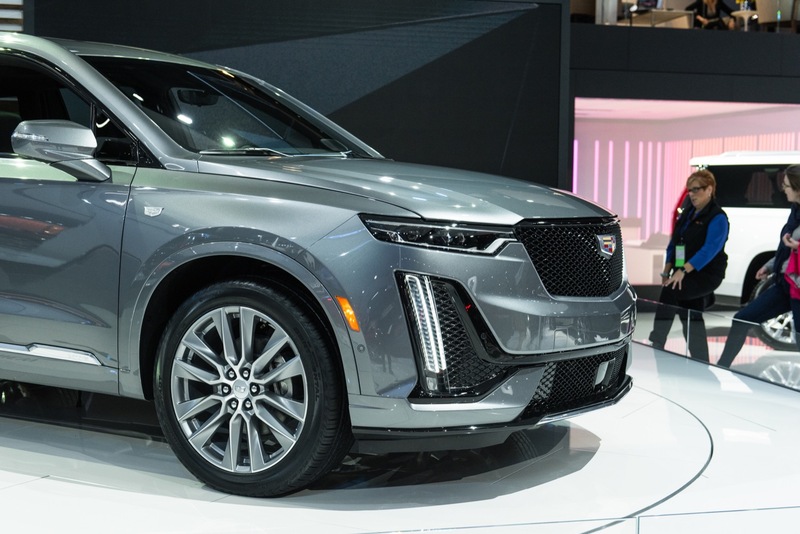 The problem is there is not all that much more to the benefits of owning as Cadillac to pry more money out of me when I can get the Acadia on the same platform, the same engine the same suspension and most of the same options already at $39K at the dealer. 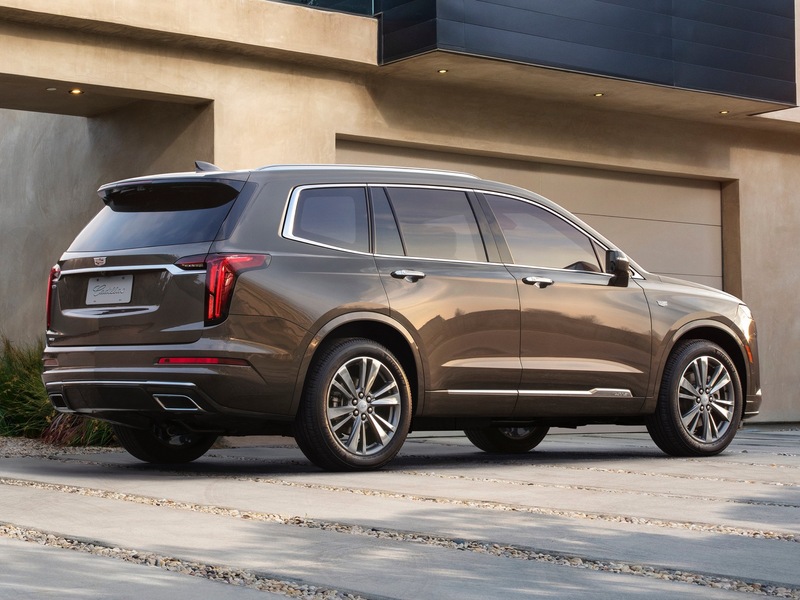 Yes I got a $54K Denali for $39K. 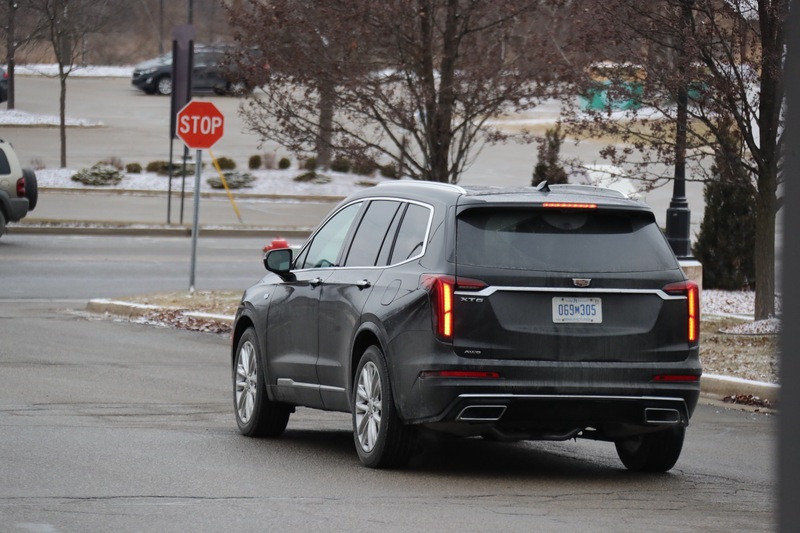 I shopped the XT5 at the same time that was in the same show room and while nice it was not giving me anything more than some extra trim. 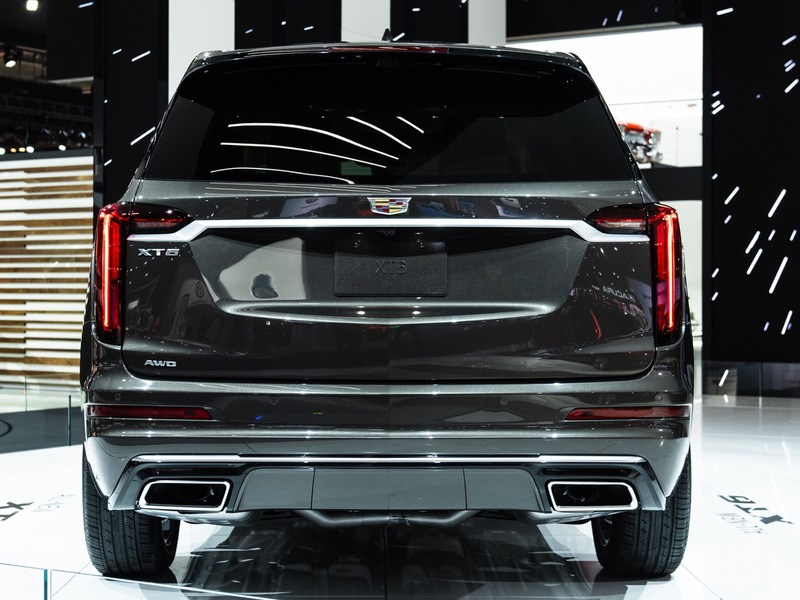 As for Ego I do not need the Cadillac name as to be honest the Denali name holds more equity than the Cadillac name at the moment. 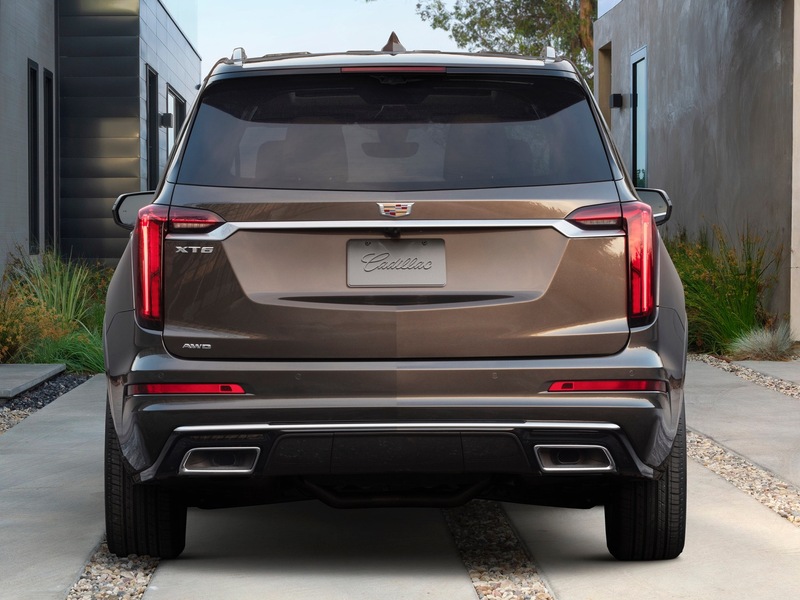 You have read my post here and I have been one of the defenders of Cadillac for several years now. 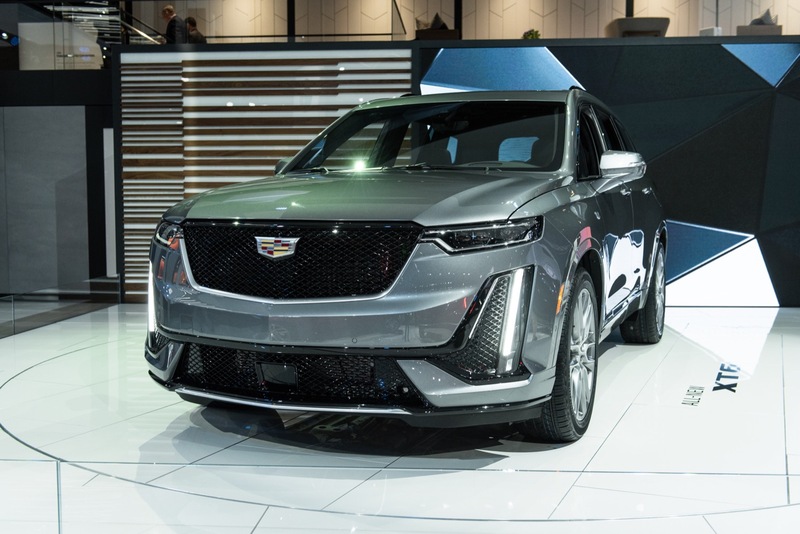 I told people to wait and lets see what they do. 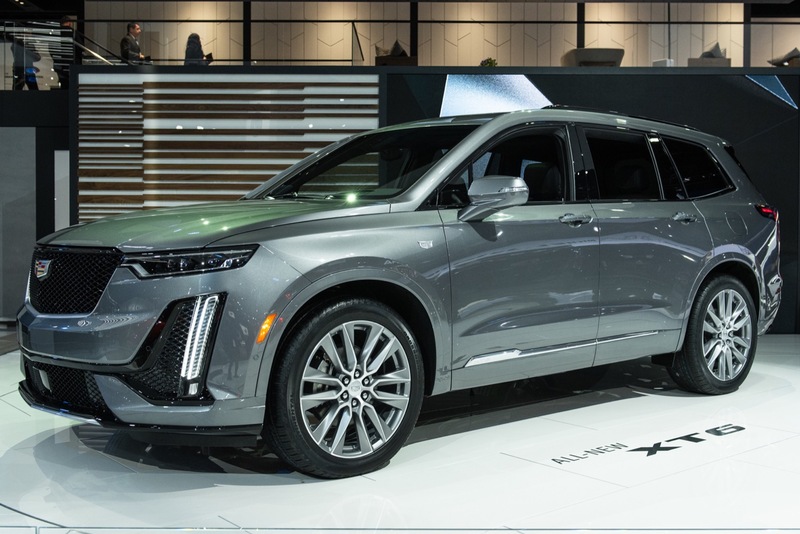 Well this model has been a let down and I know they need to share platforms but they did not go far enough to earn my extra money. 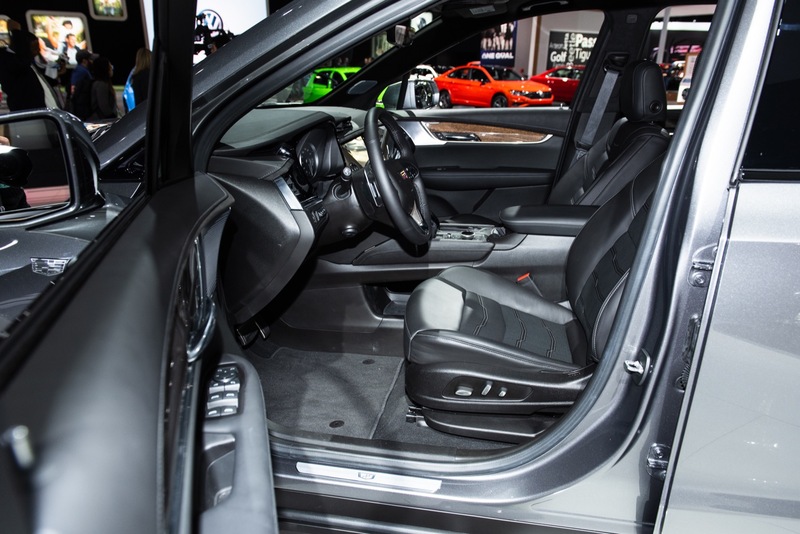 Power second row seats mean nothing to the driver. 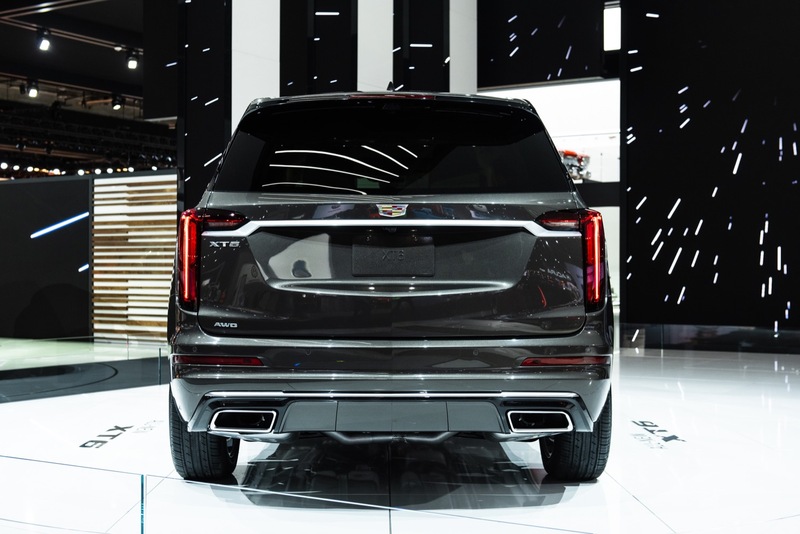 GM needs to step things up and if they are going to share suspension offer the better struts not the same as I can option on the GMC. 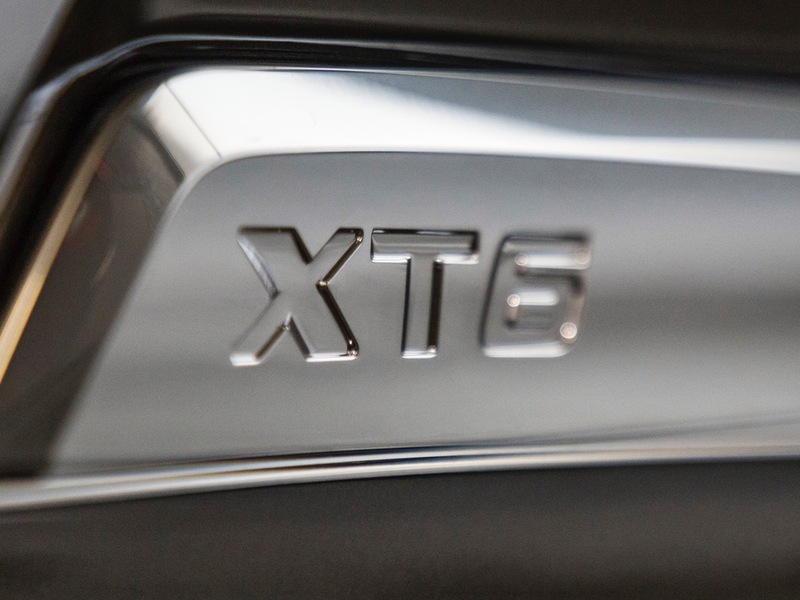 If they need to share an engine use the one with 30 more HP. 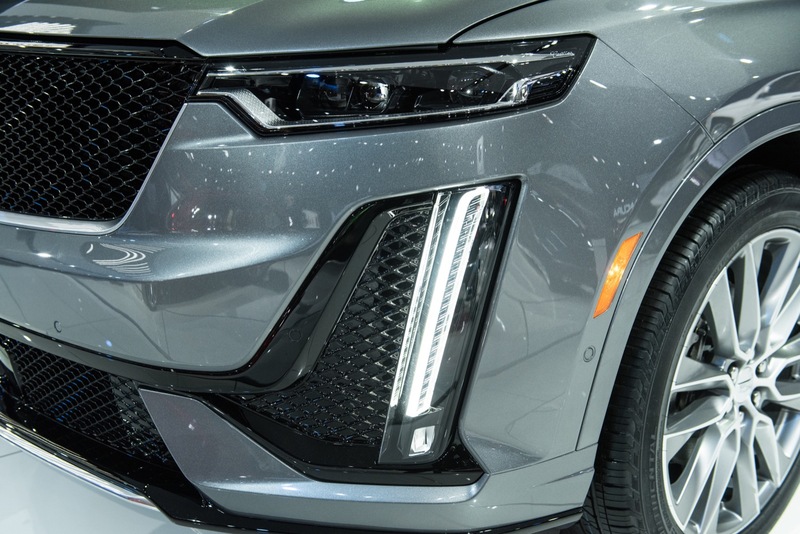 If they are going to share give me a reason to step up and what we have here is some extra frosting on the cake that still taste the same. 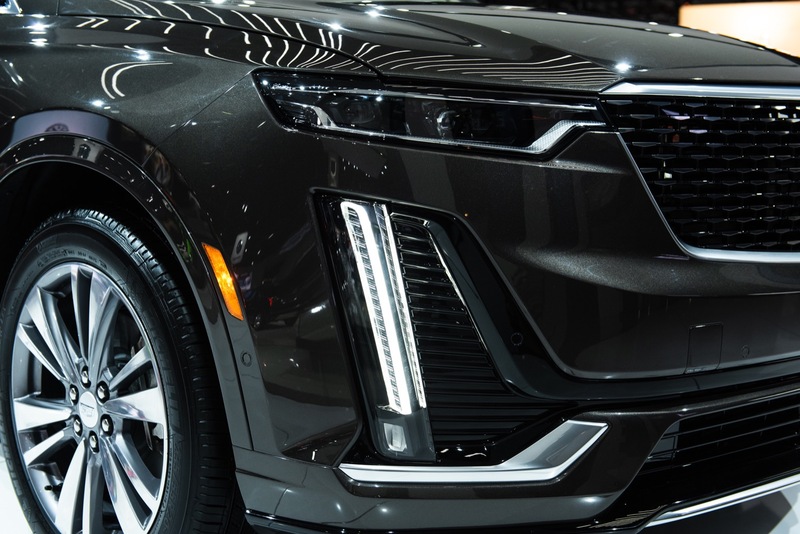 As I have said about Lincoln it has too much Ford in it. 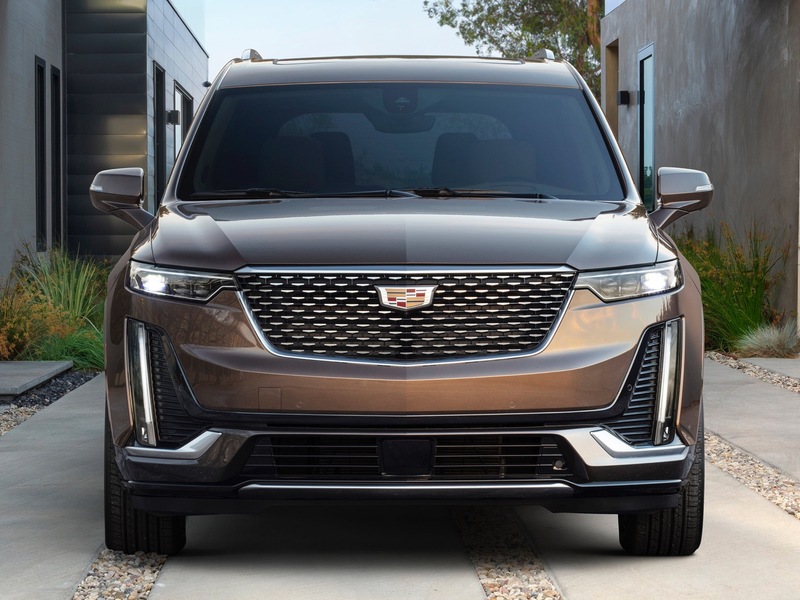 Well Cadillac right now has too much GMC in it. 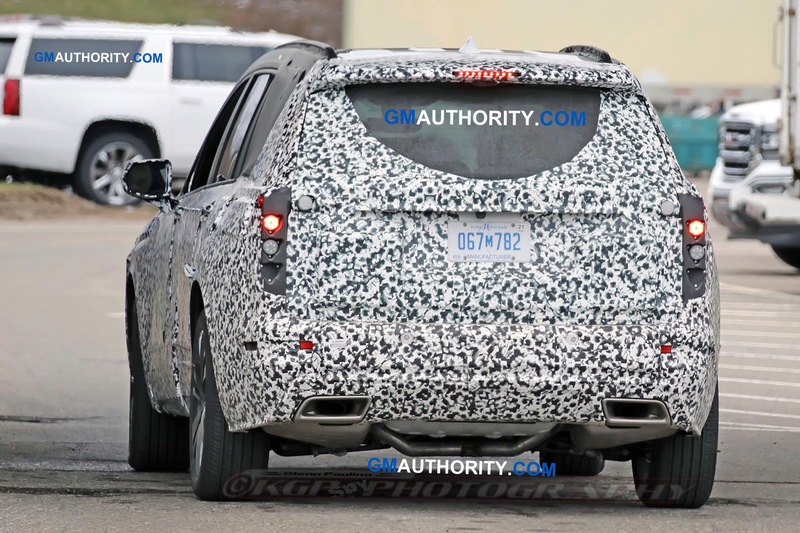 GMC can get away with the extra frosting as they are not all that much more. 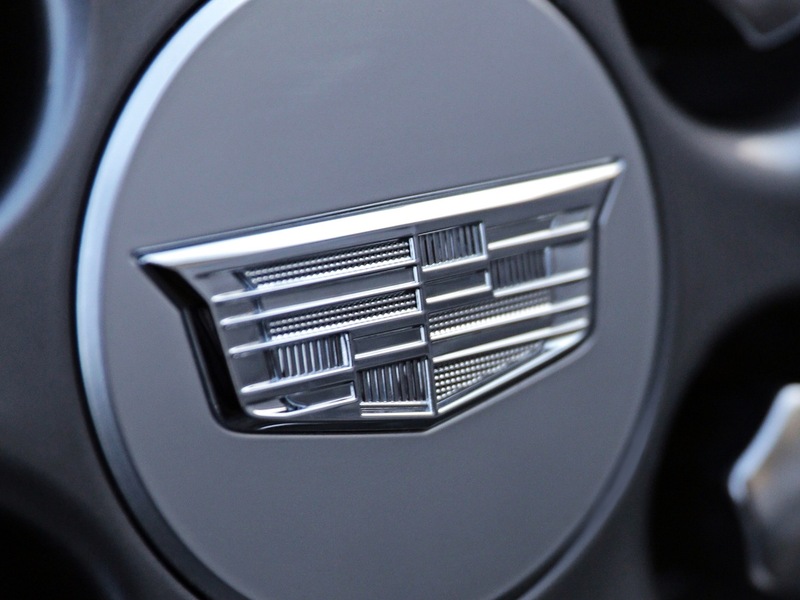 Now when you add up the Cadillac price there is no reason to step up for the amount of money they are asking. 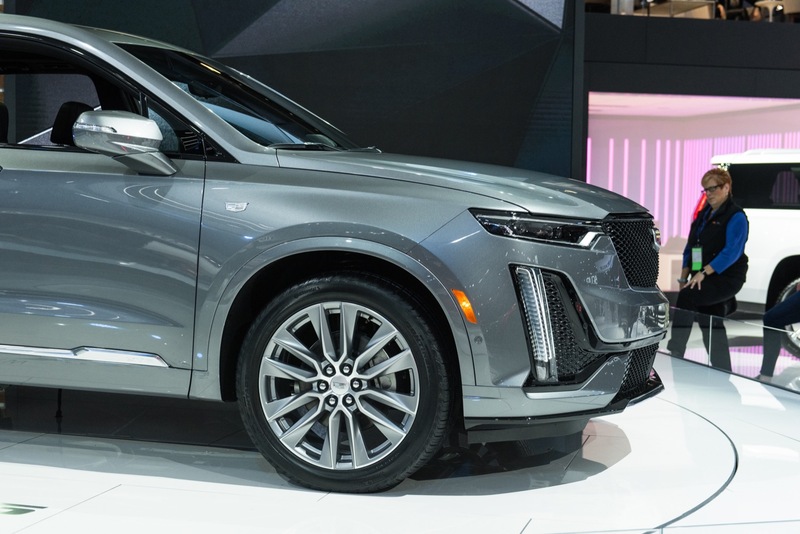 If I am going to spend that much there are many other choices at that price point. 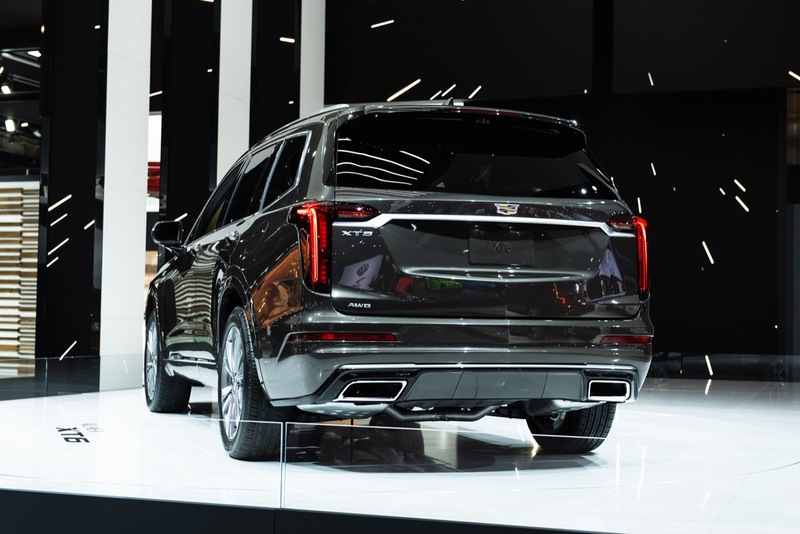 I am a Cadillac supporter how do they think they will gain new customers that are indifferent? 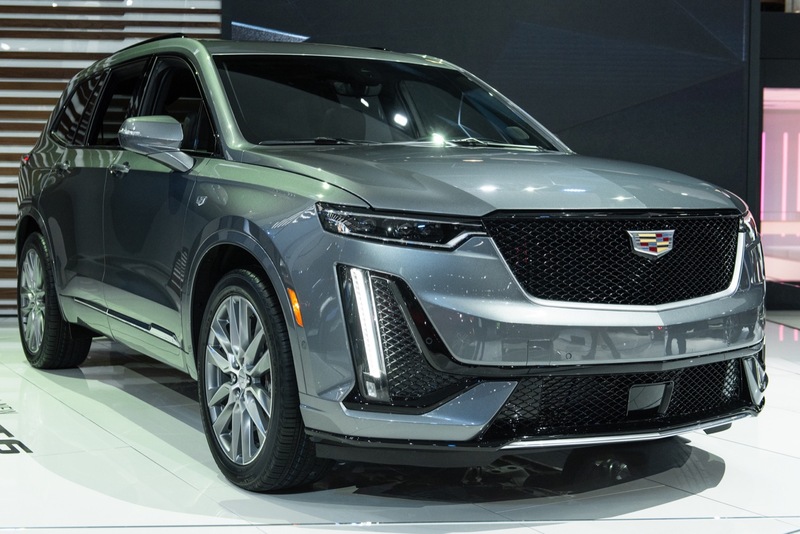 Like I said it is a nice car but not worth the extra money. 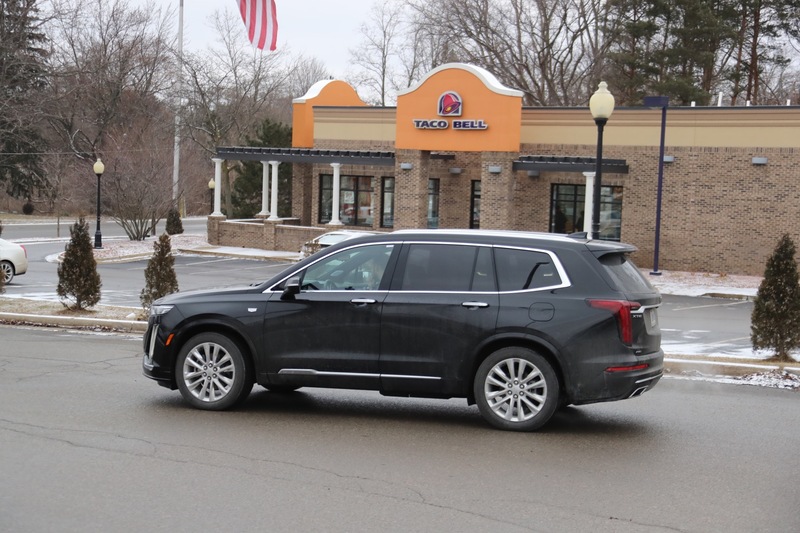 You really drive home the point many have said for years. 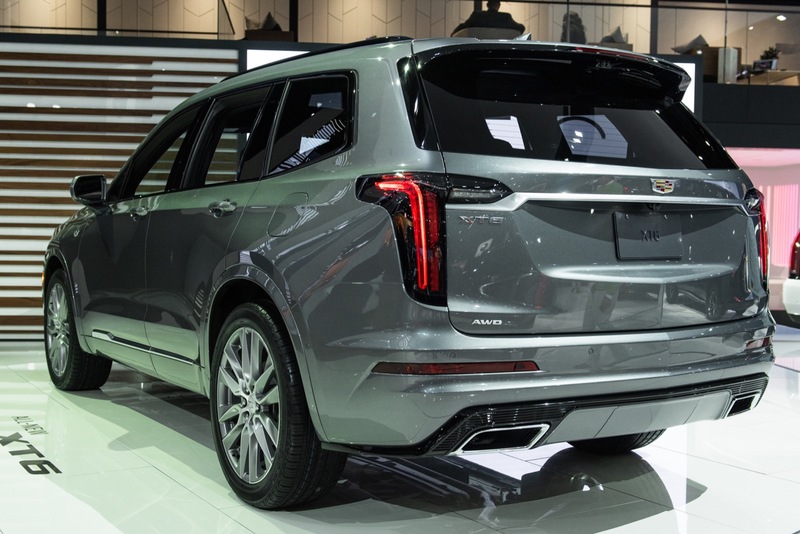 GMC is hurting Chevrolet on one end and Cadillac on the other. 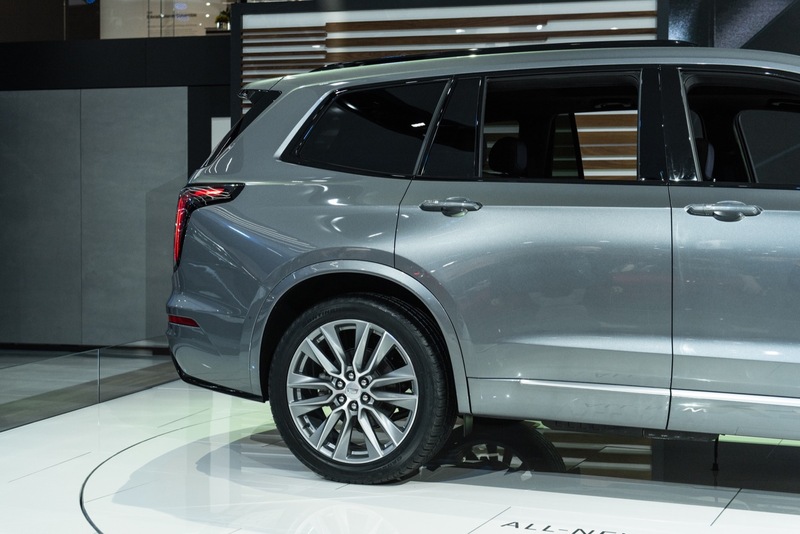 The same goes for Buick but at least they don’t have trucks too. 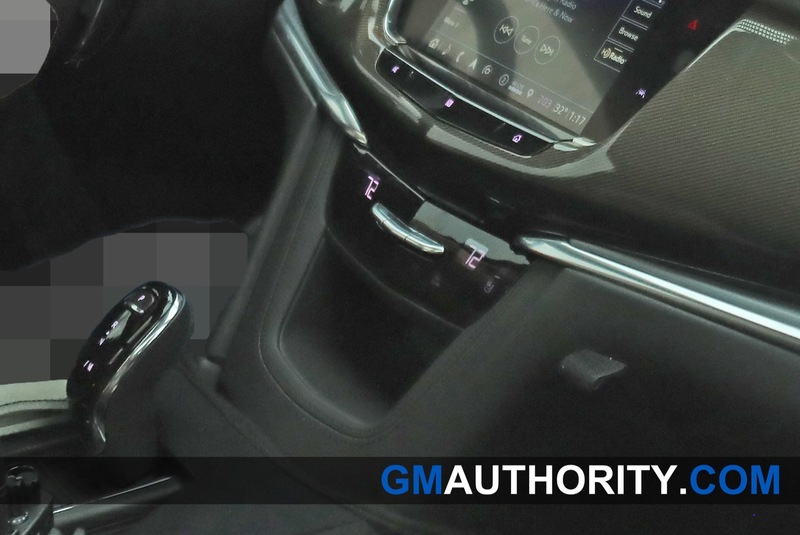 GM really needs to figure out what they are. 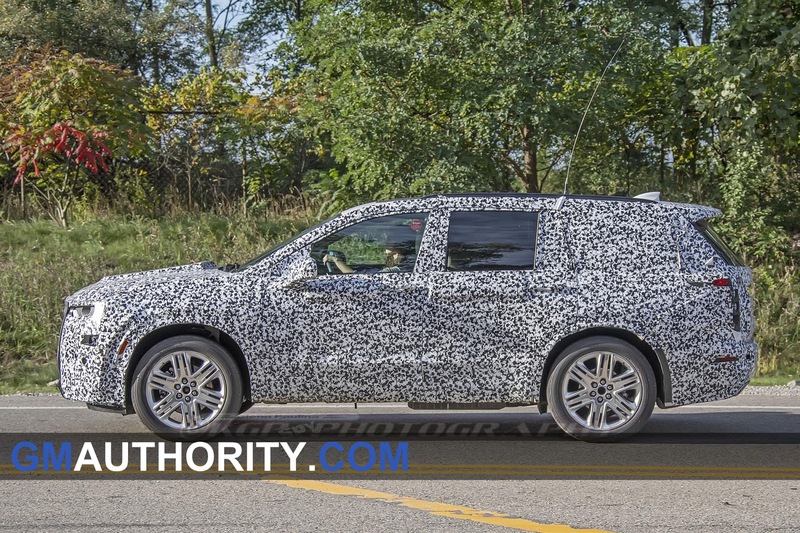 Are they really Chevrolet incognito? 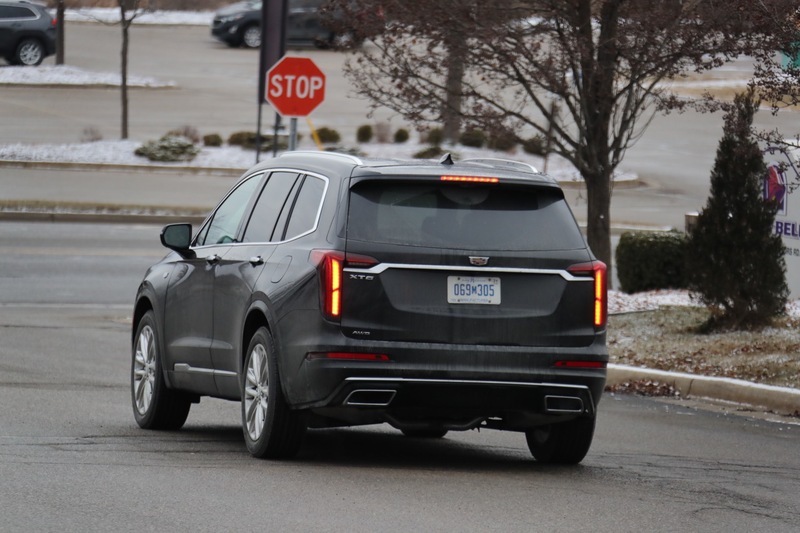 Or are they GMCo. 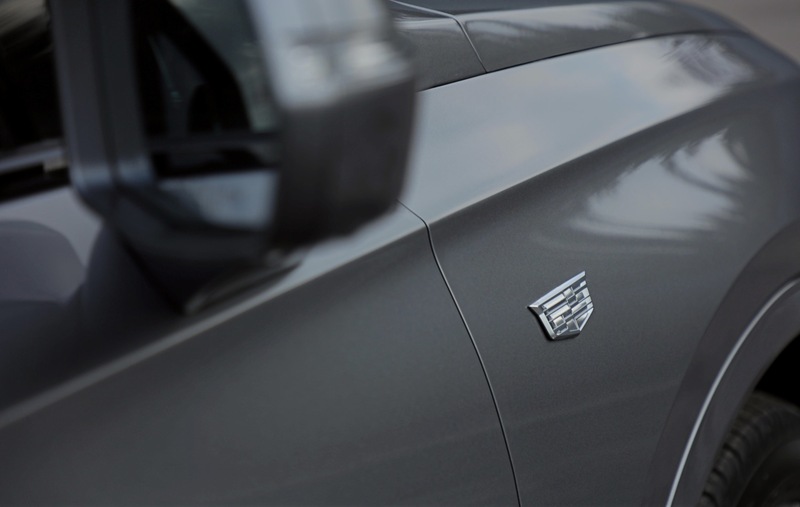 Because eventually one of their brands is going to have to go. 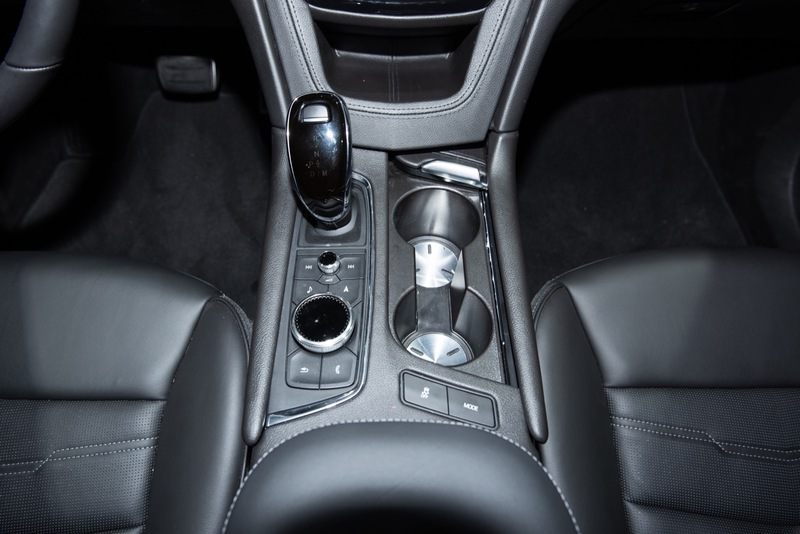 They’re stepping all over themselves. 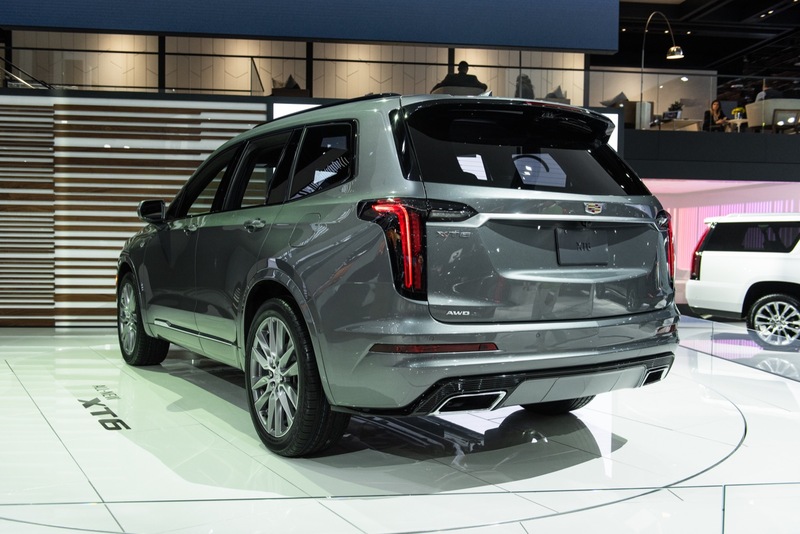 I actually agree with you though in that there really is no point in buying a Cadillac branded platform version when you can just get GM’s own namesake original GM Denali. 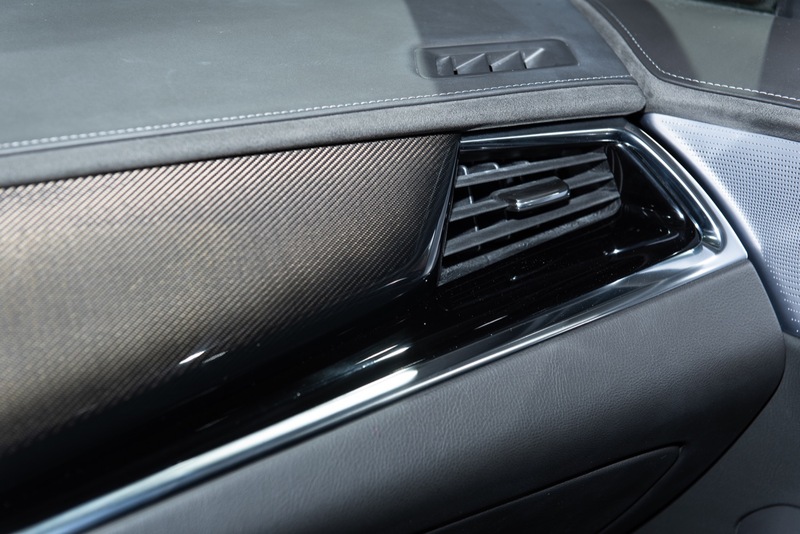 For that matter even Avenir now. 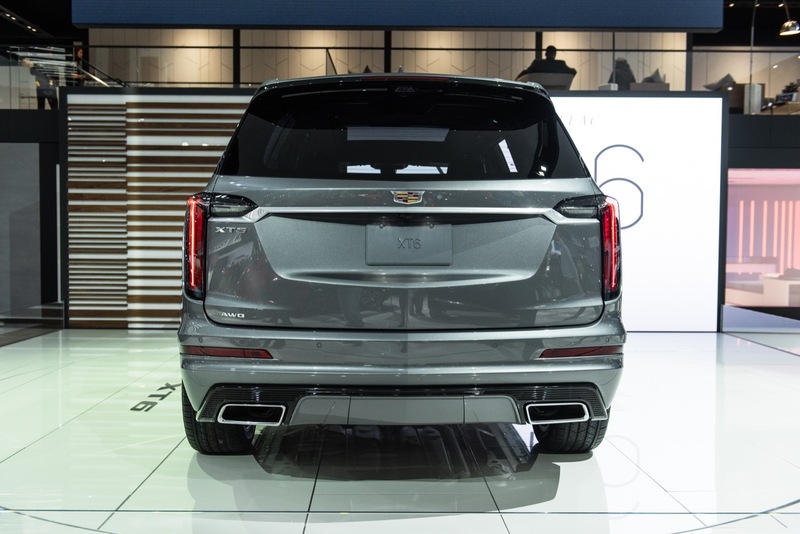 Just like there’s no point in getting a Chevrolet branded platform for the same reason. 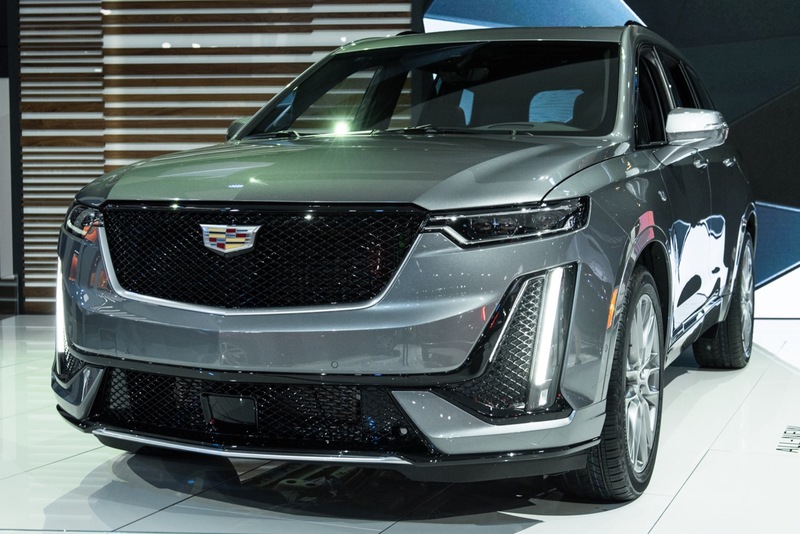 I mean you’re not Really getting an authentic Cadillac or Chevrolet anyway since those entities don’t exist anymore. 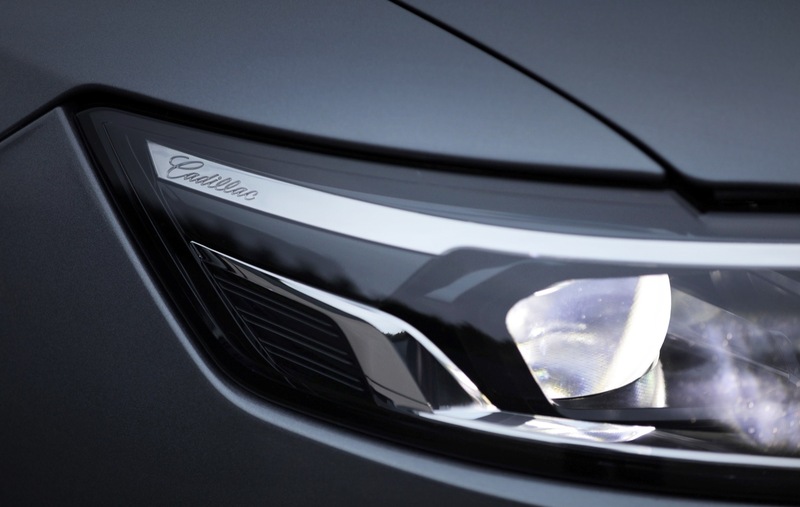 You’re getting a marketed branding platform. 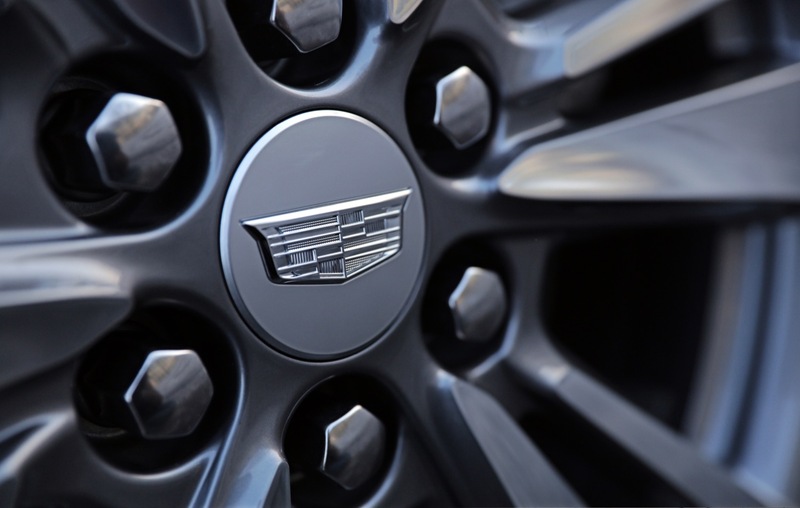 Same platform, same engines, same everything for the most part. 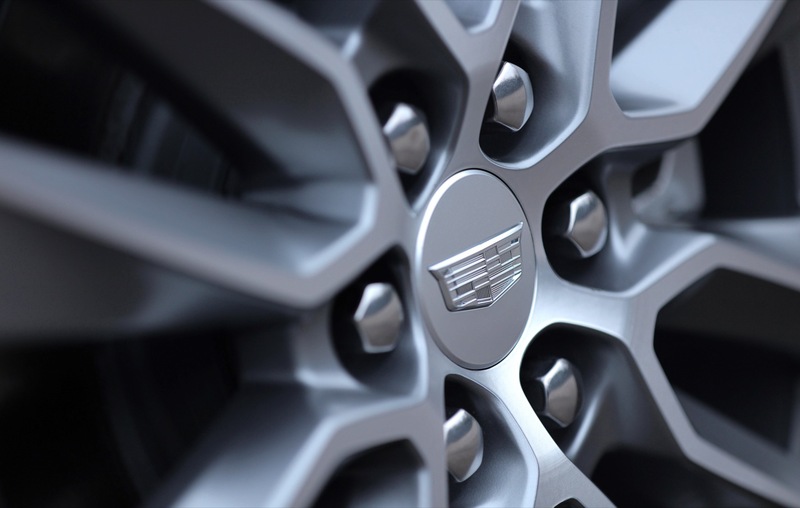 The only true authentic brand I suppose is the GM one (or GM’C’) so you may as well just go that route. 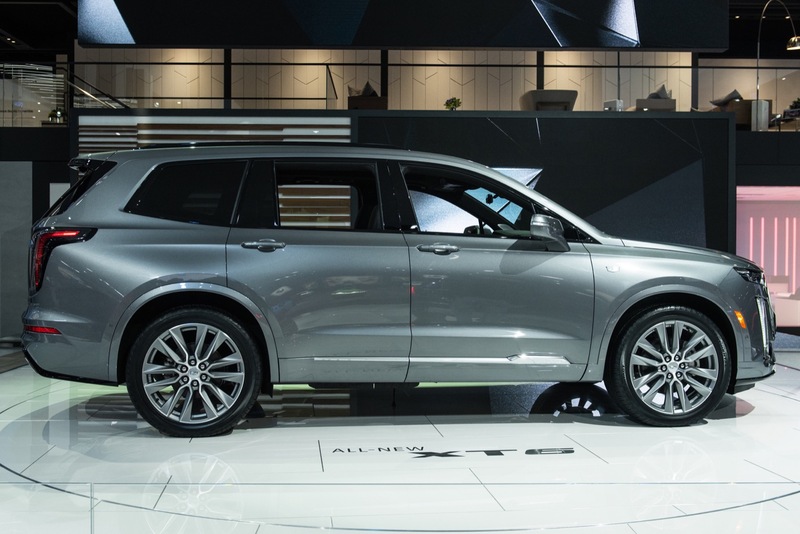 All vehicles are so expensive now anyway that going slightly up or down in price or payment matters little if any. 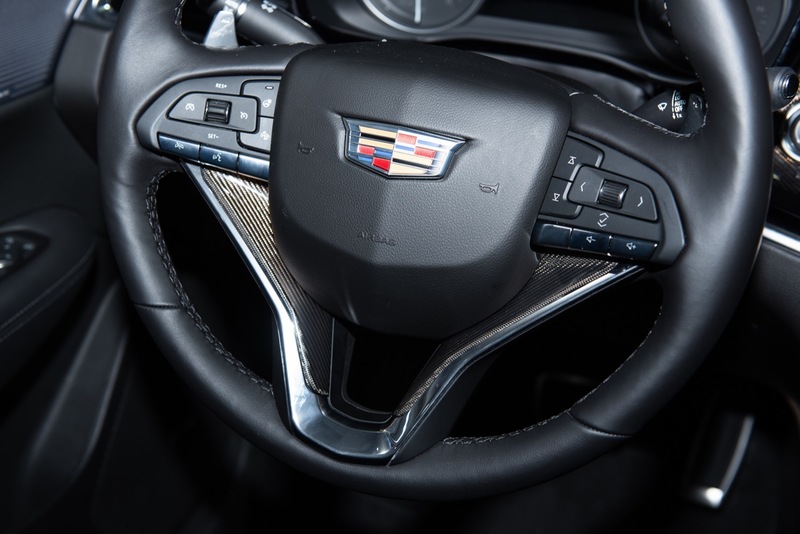 What’s the technique for getting a 54k vehicle for 39k? 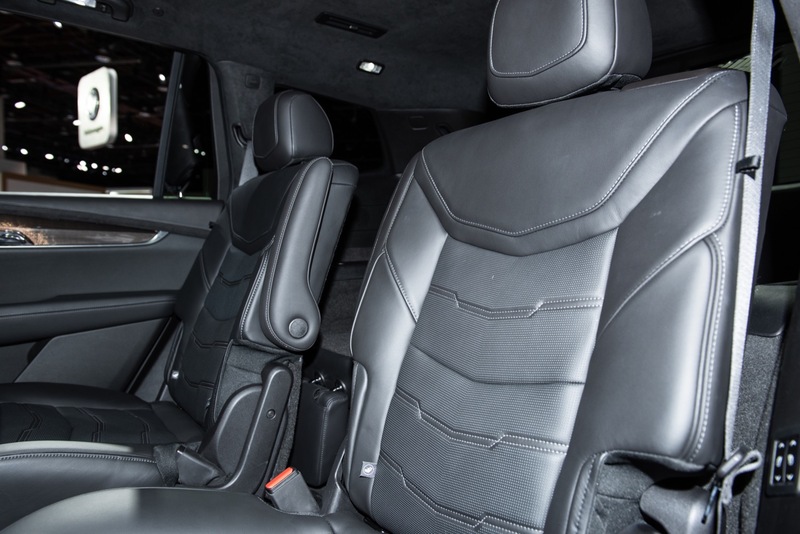 I’m curious as to how you would get 3 passengers into the middle row with the captain’s chairs. 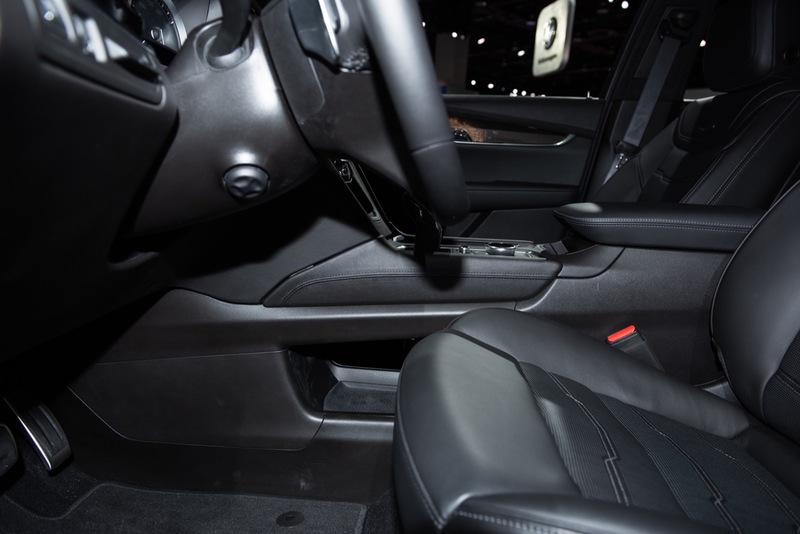 It’s a bench seat, with no difference in price. 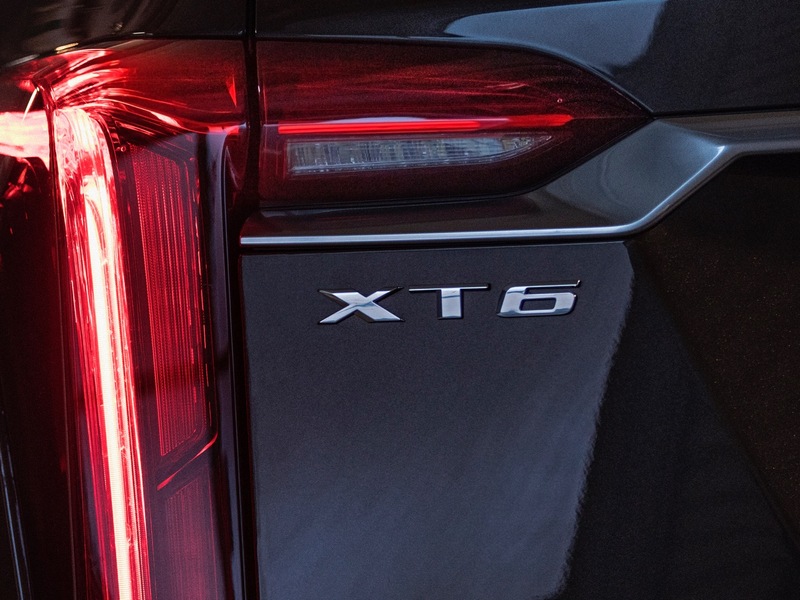 Only if they had better engine options. 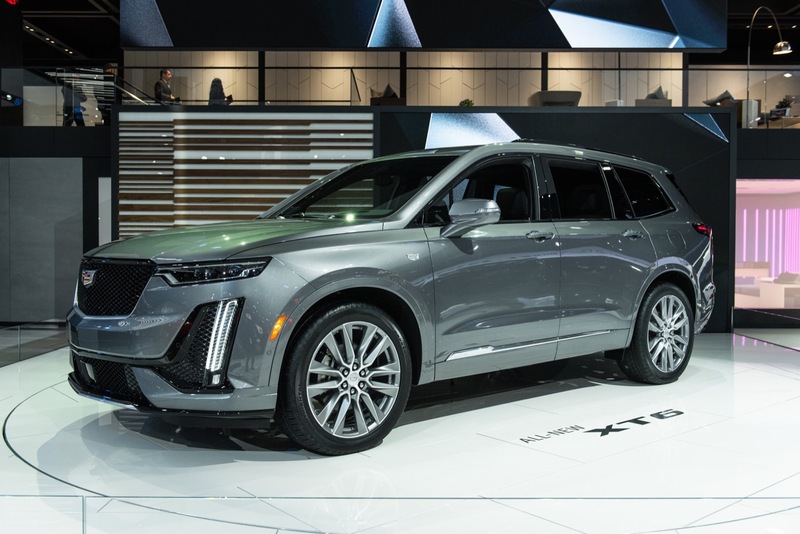 Hybrid like a Ford is doing with their cars. 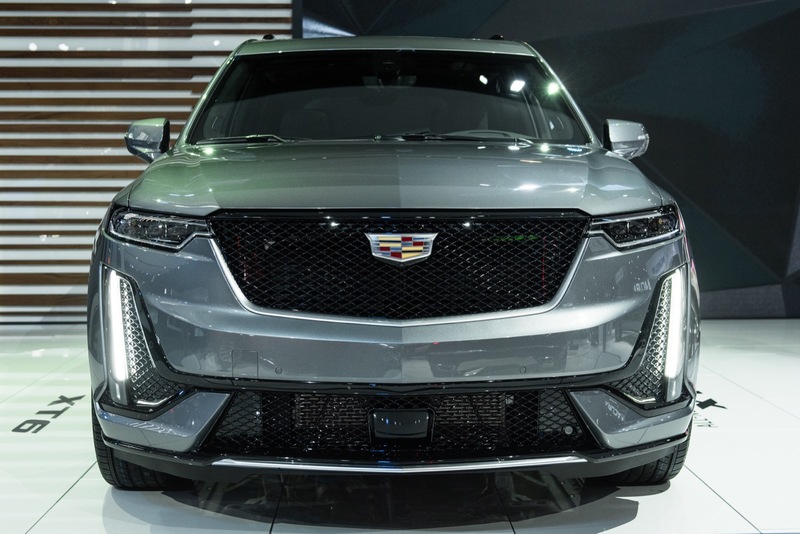 I guess this will be a mid life refresh for Cadillac in this case. 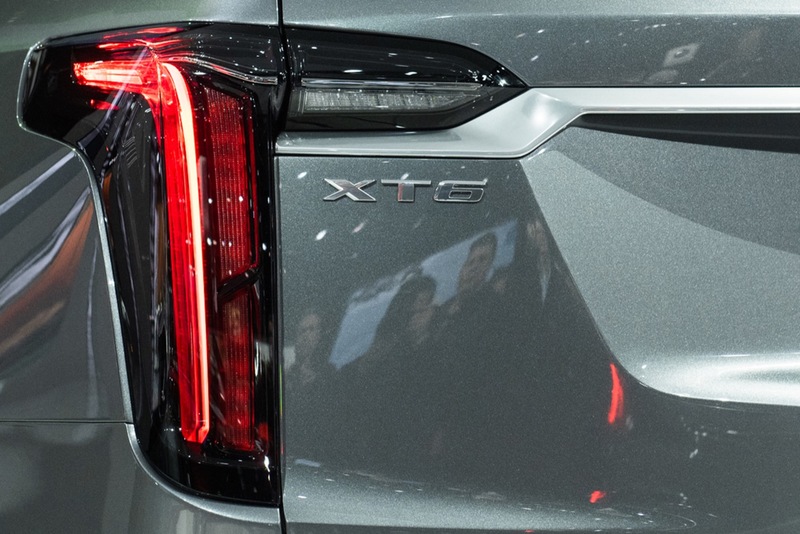 Come on guys, does anyone proofread? 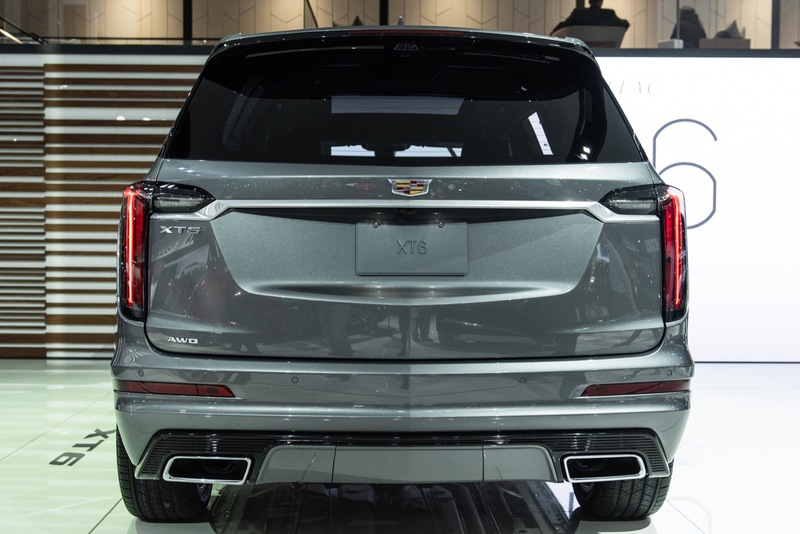 I see you corrected the 6 passenger section but there is still a miss match on the seven passenger section. 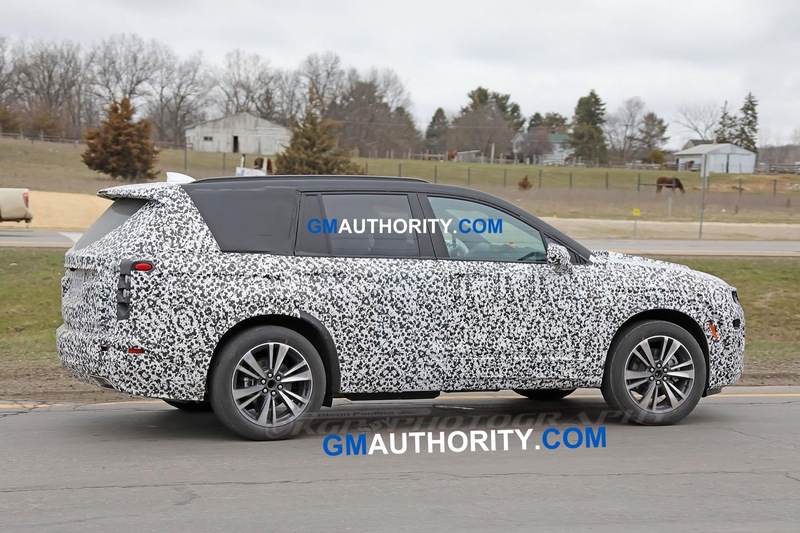 looking at the picture it is pretty evident that the configuration will be 2-3-2 as indicated in the text not the 2-2-3 shown in the heading. 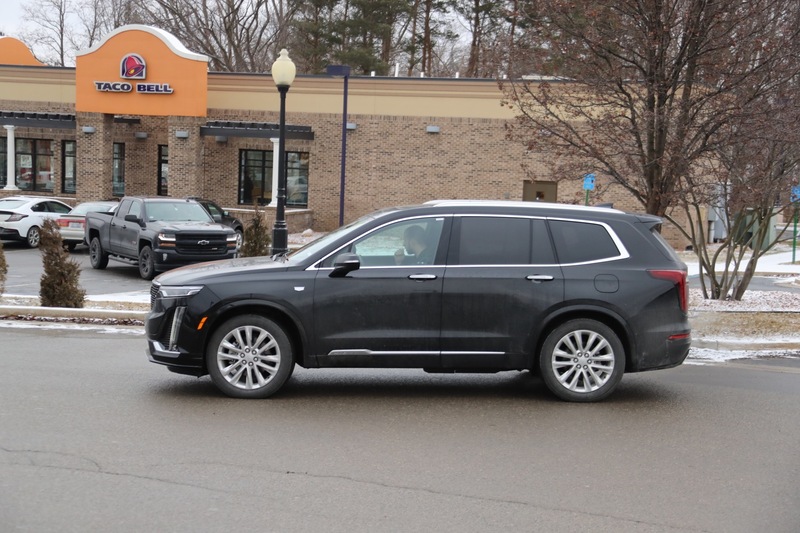 You folks are better than this.